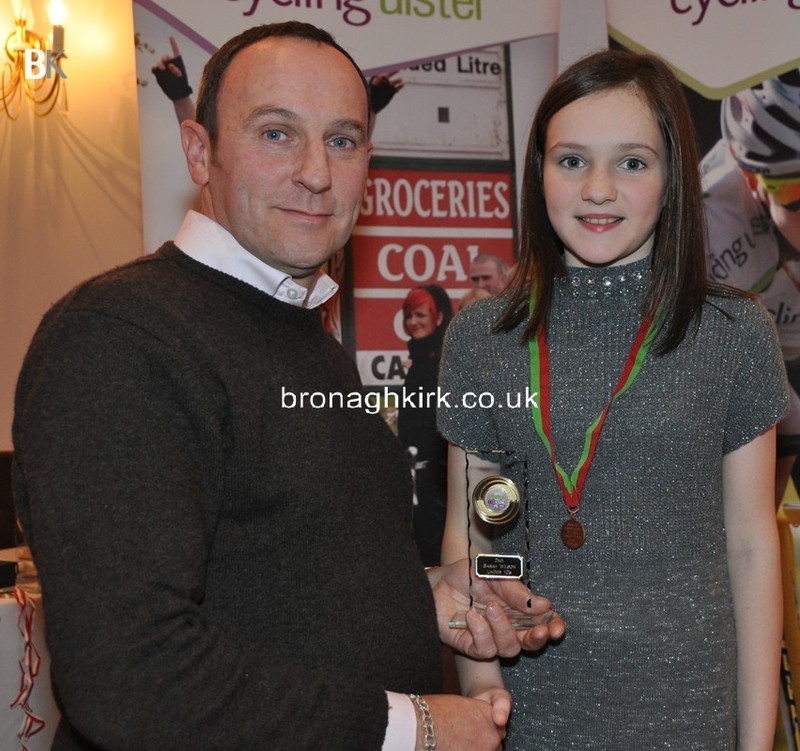 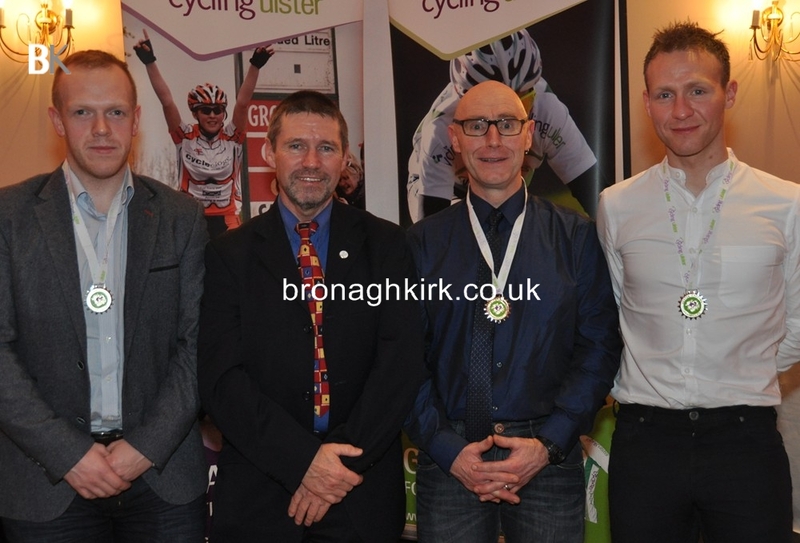 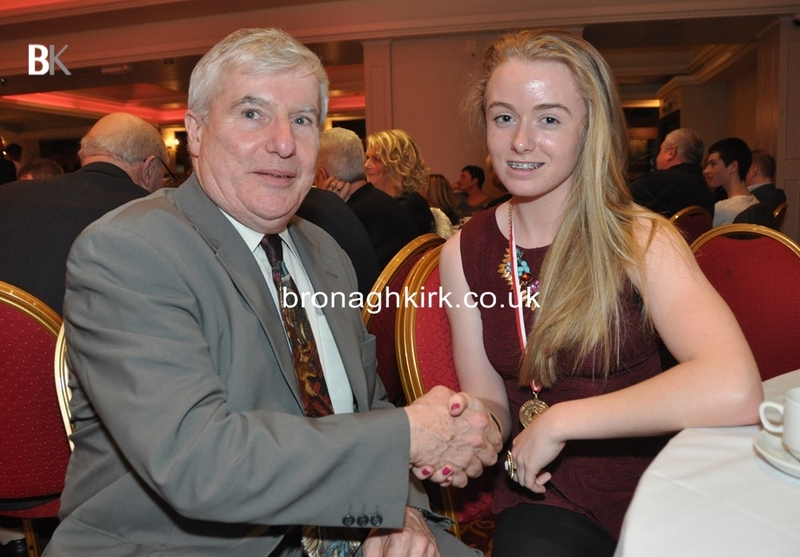 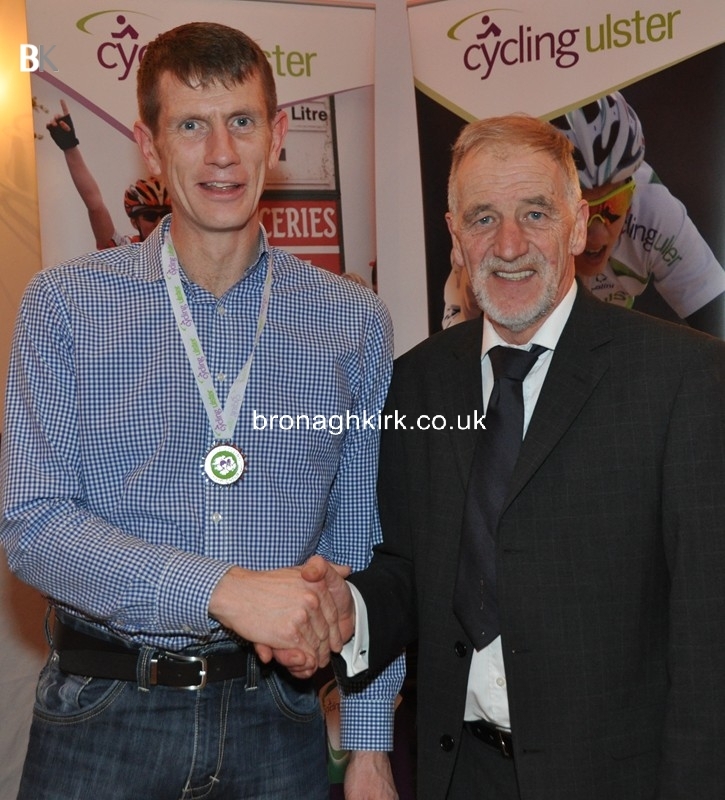 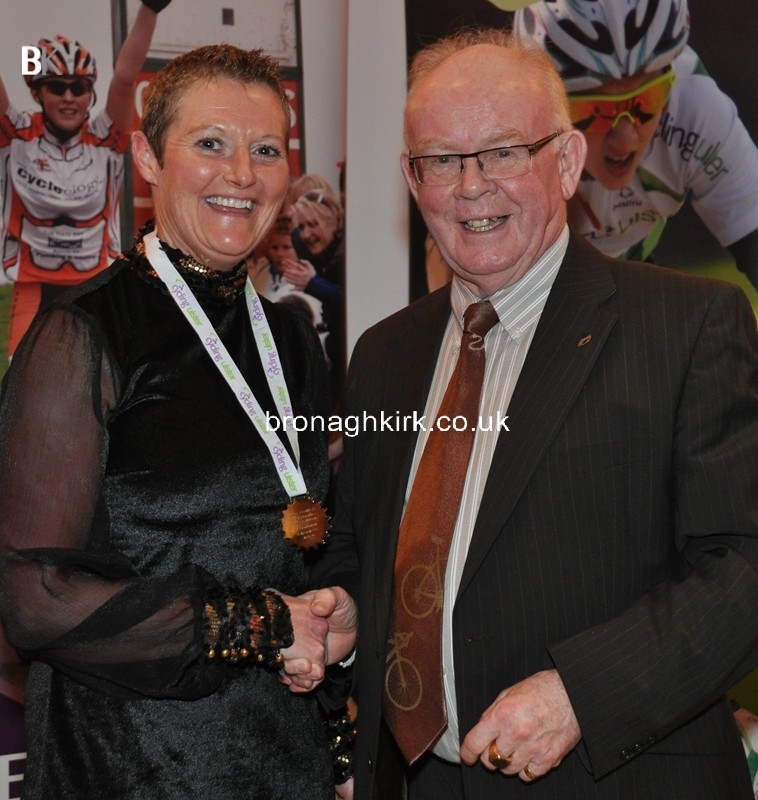 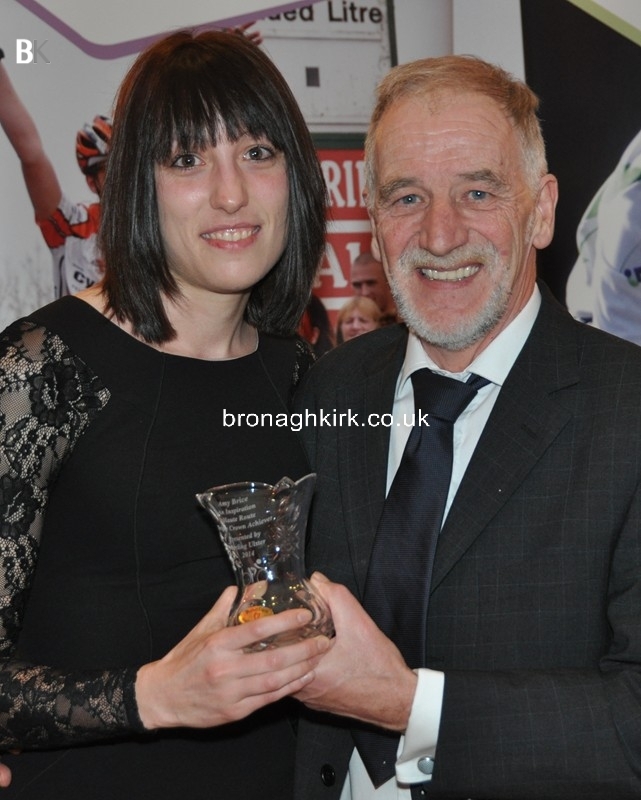 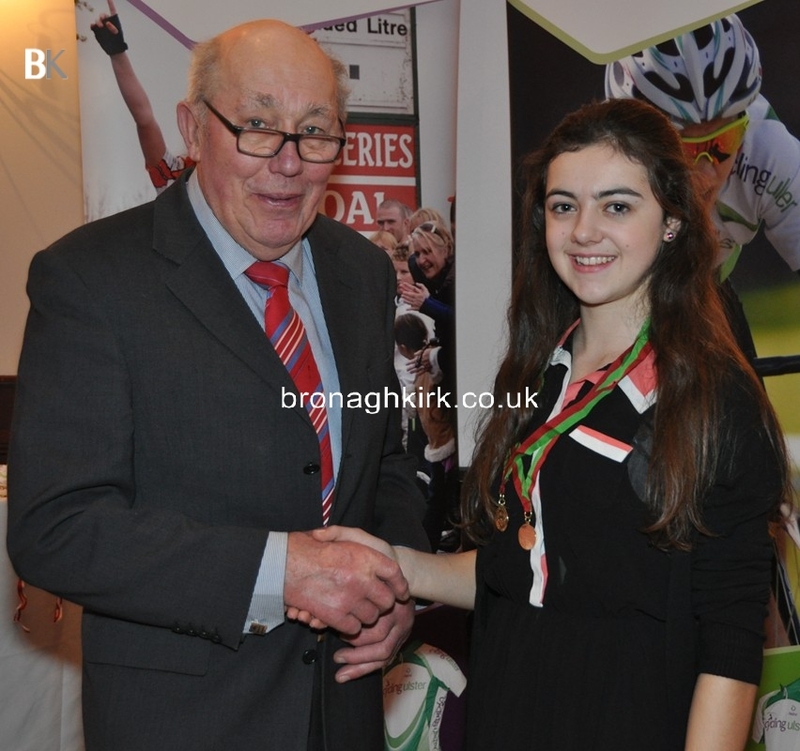 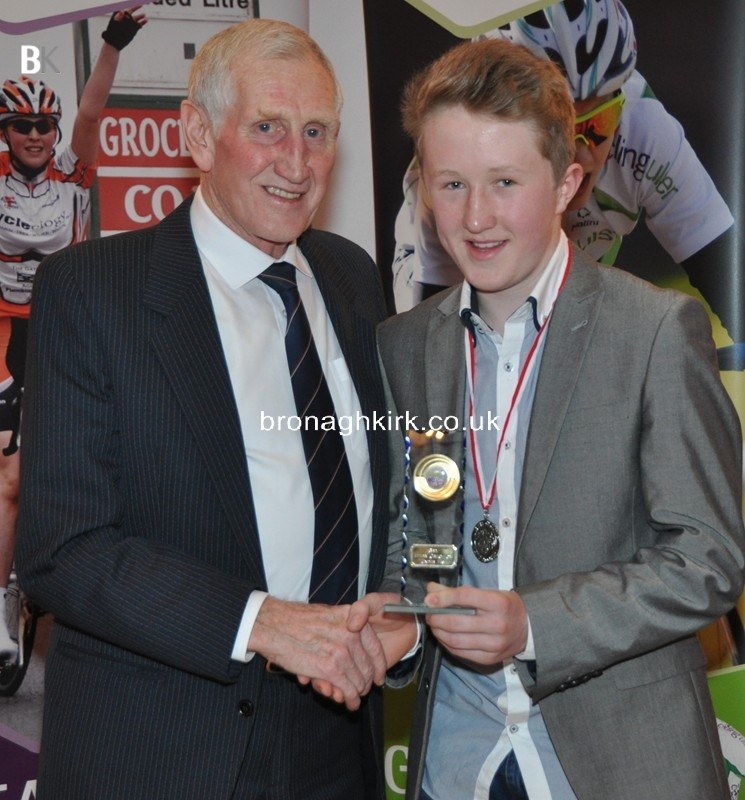 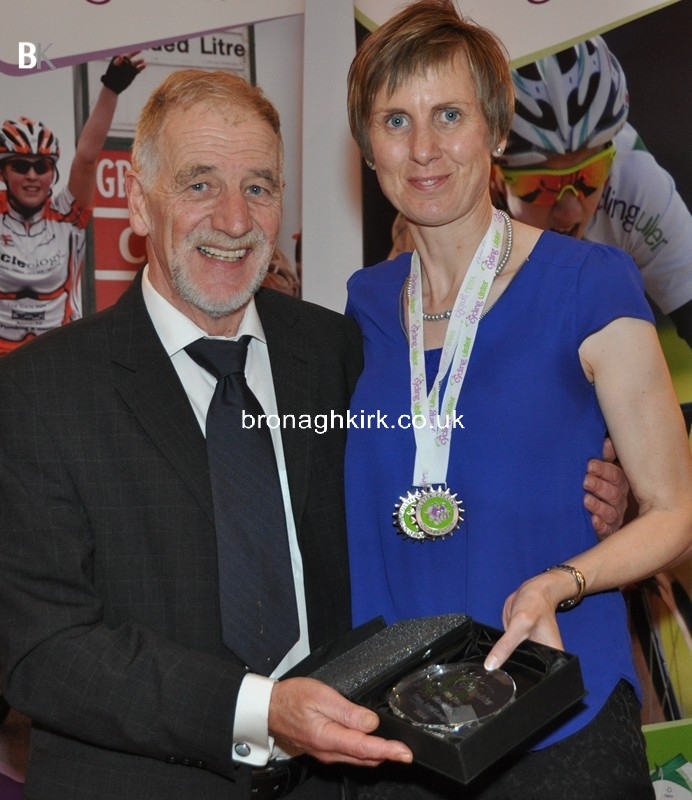 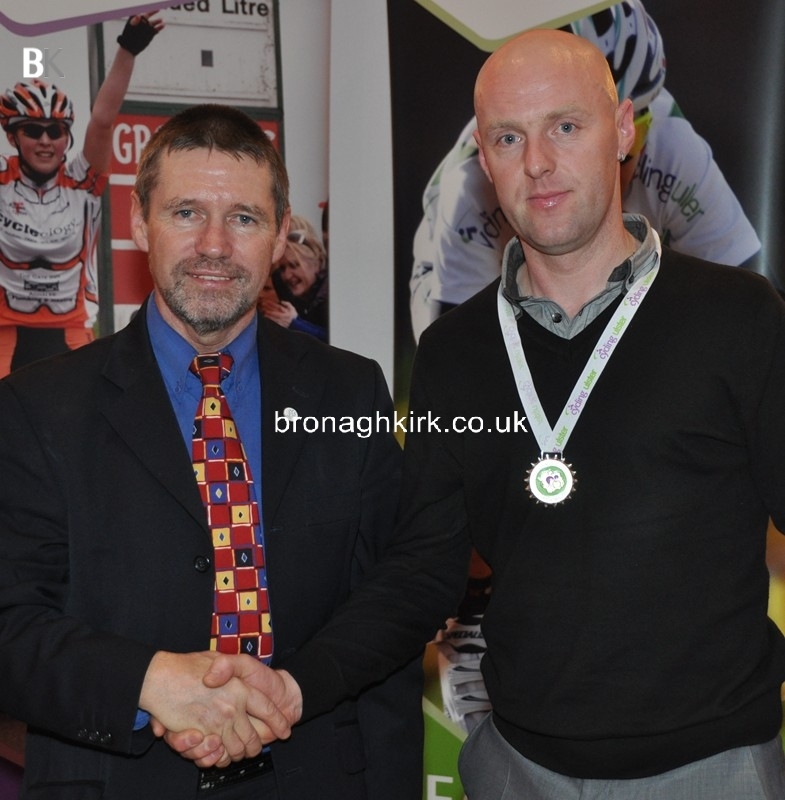 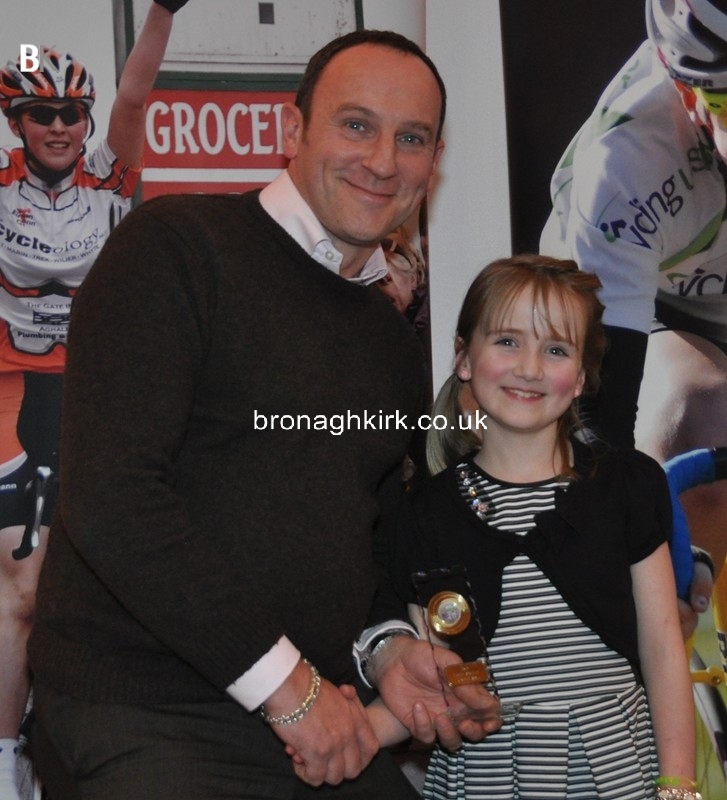 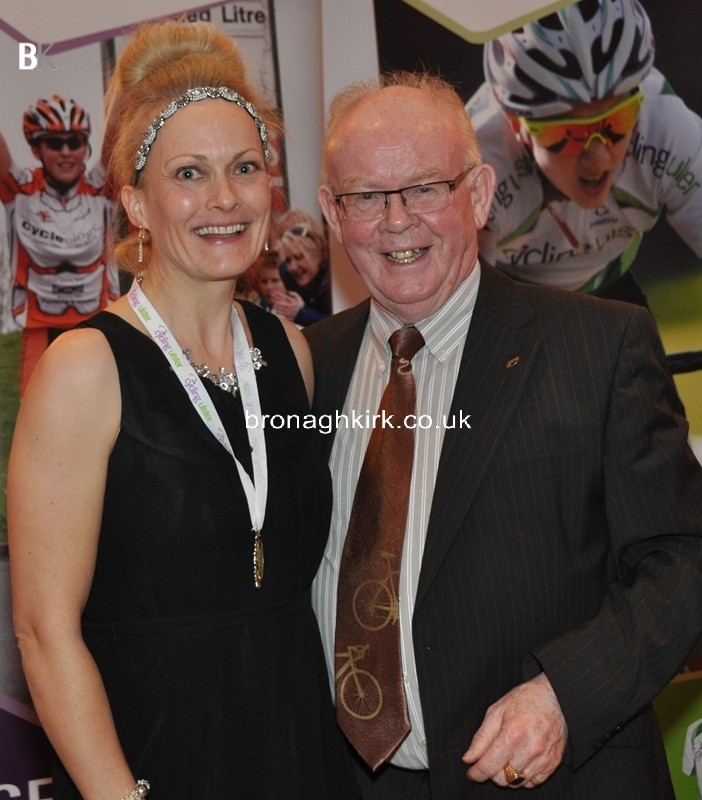 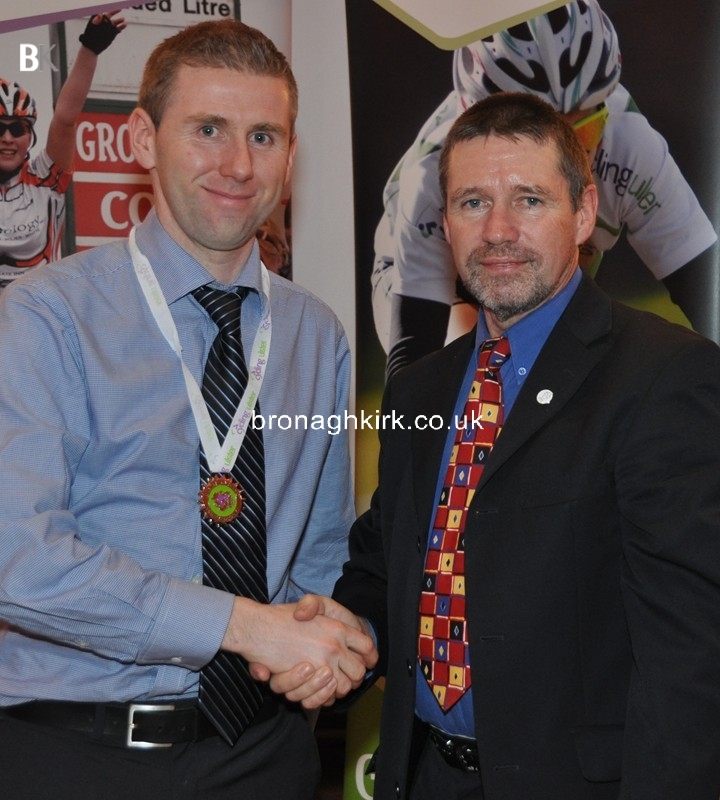 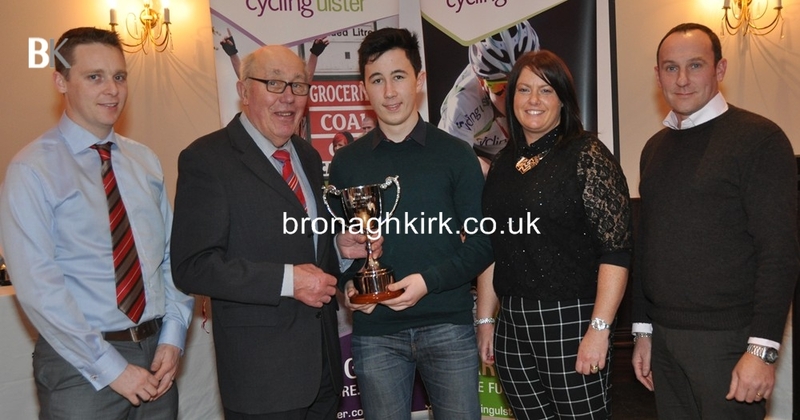 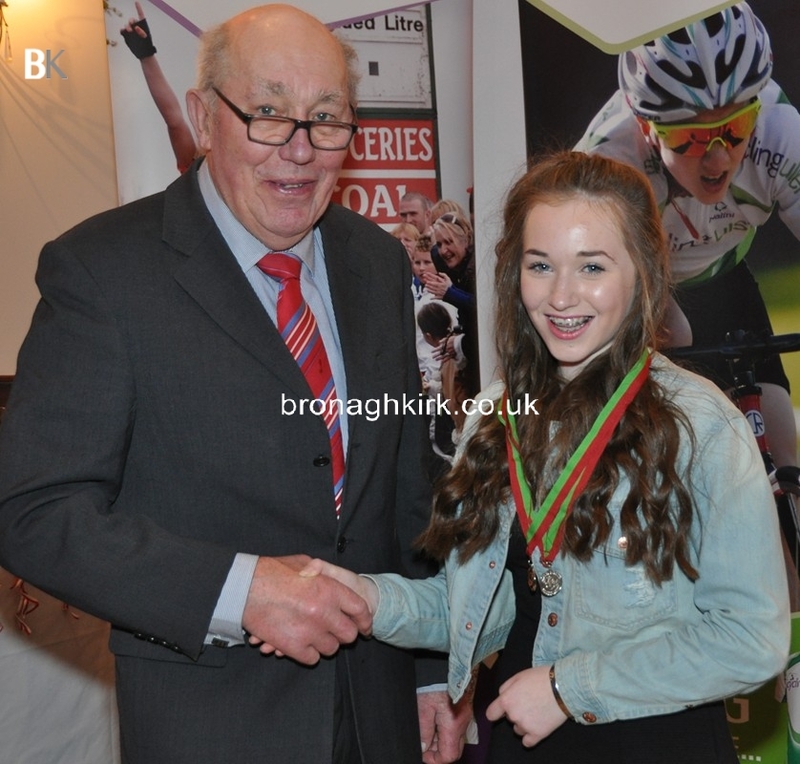 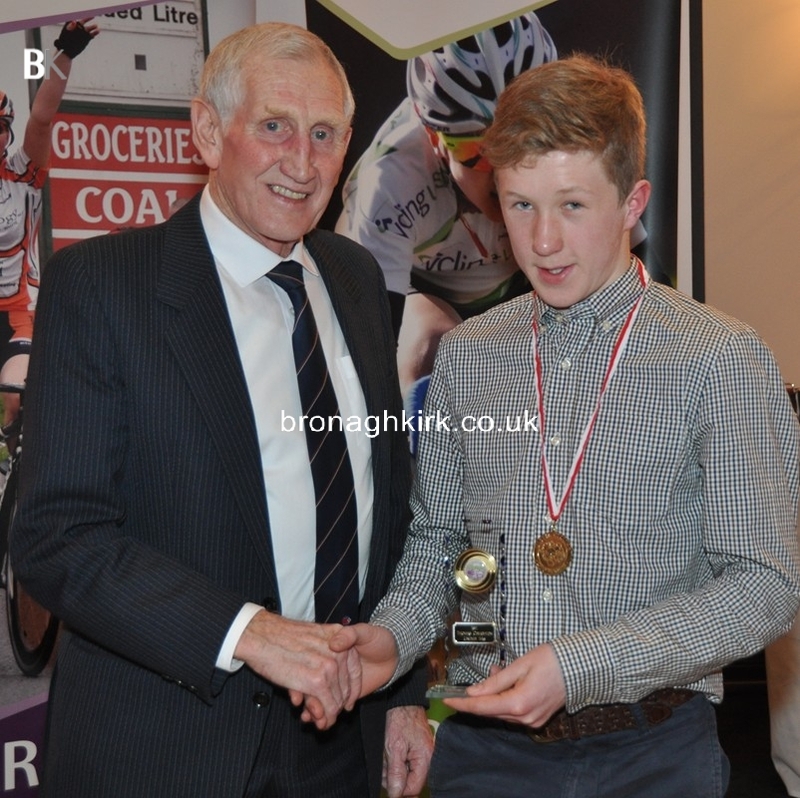 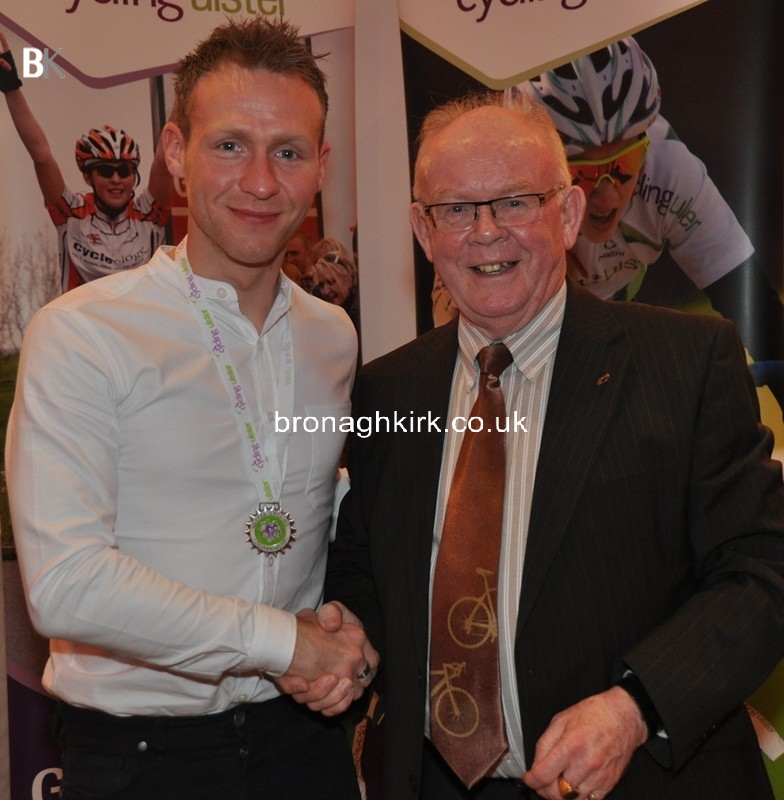 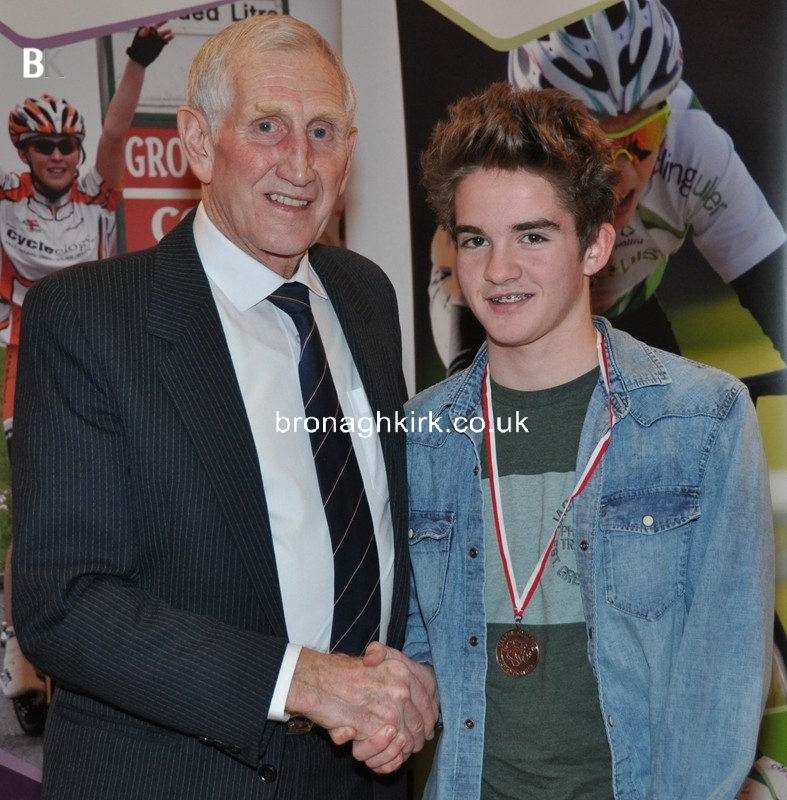 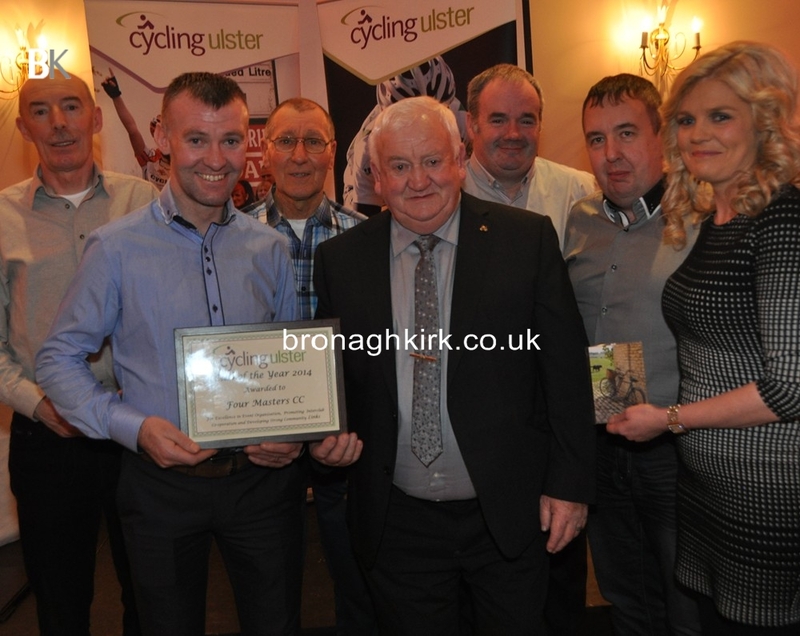 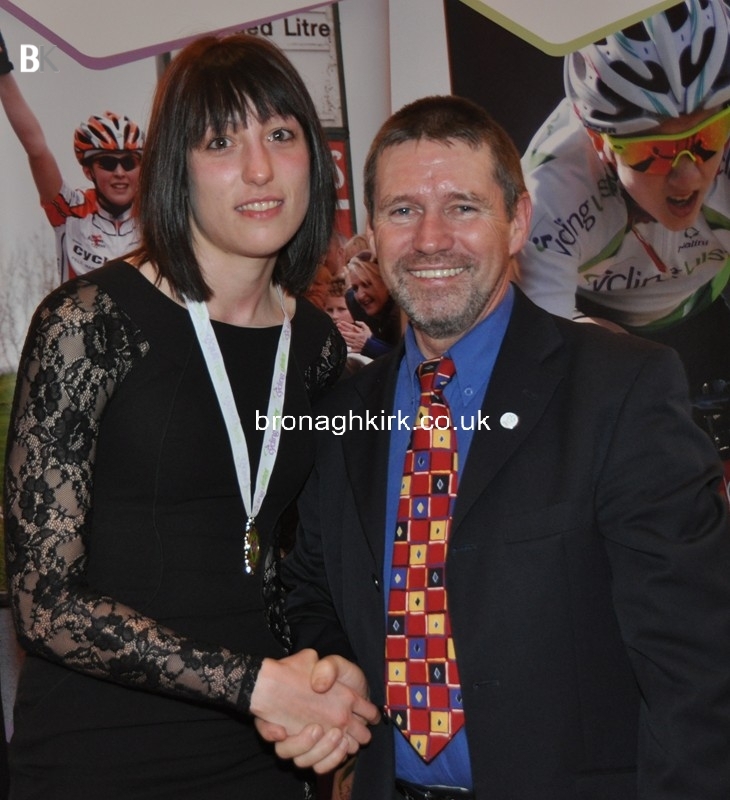 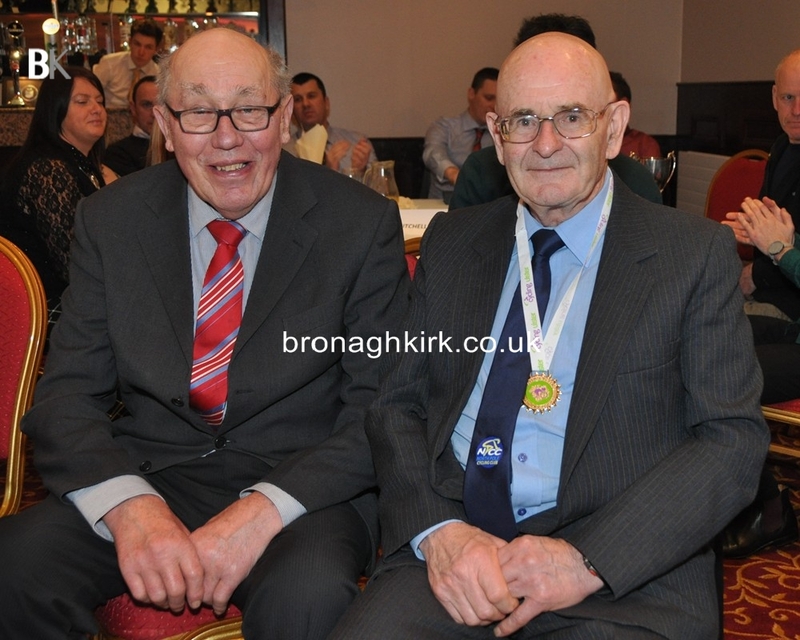 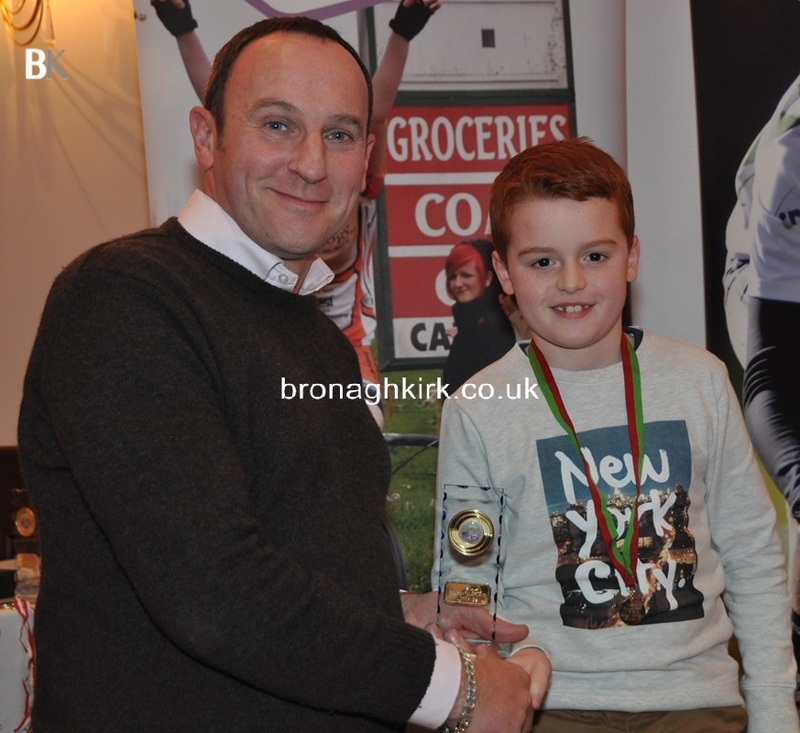 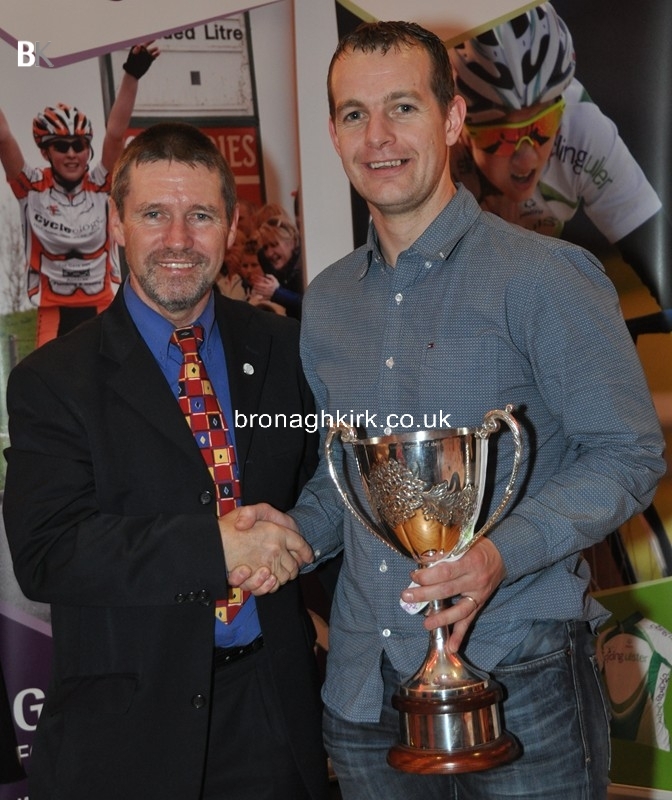 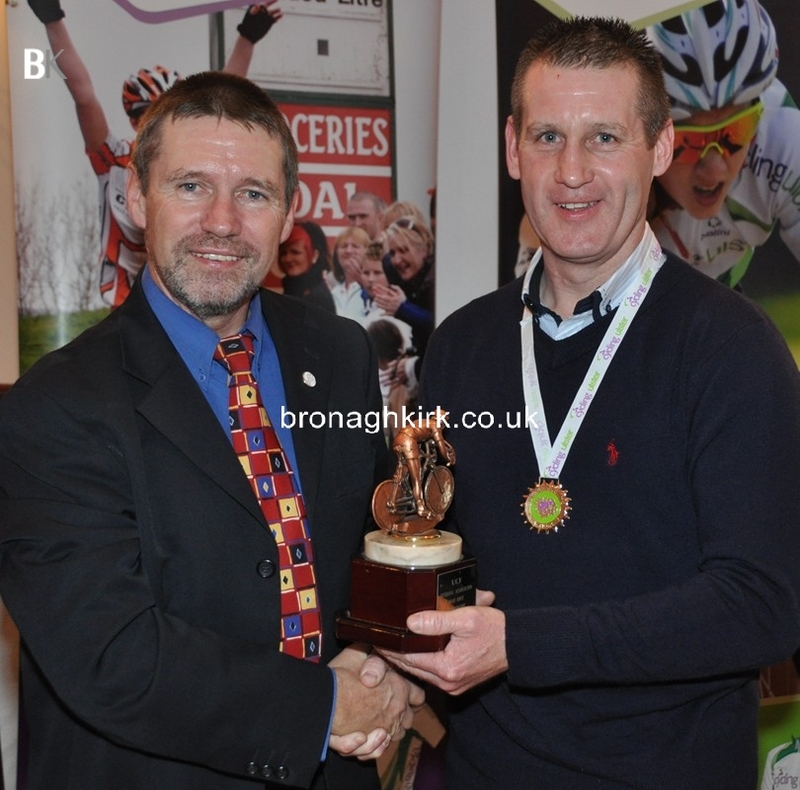 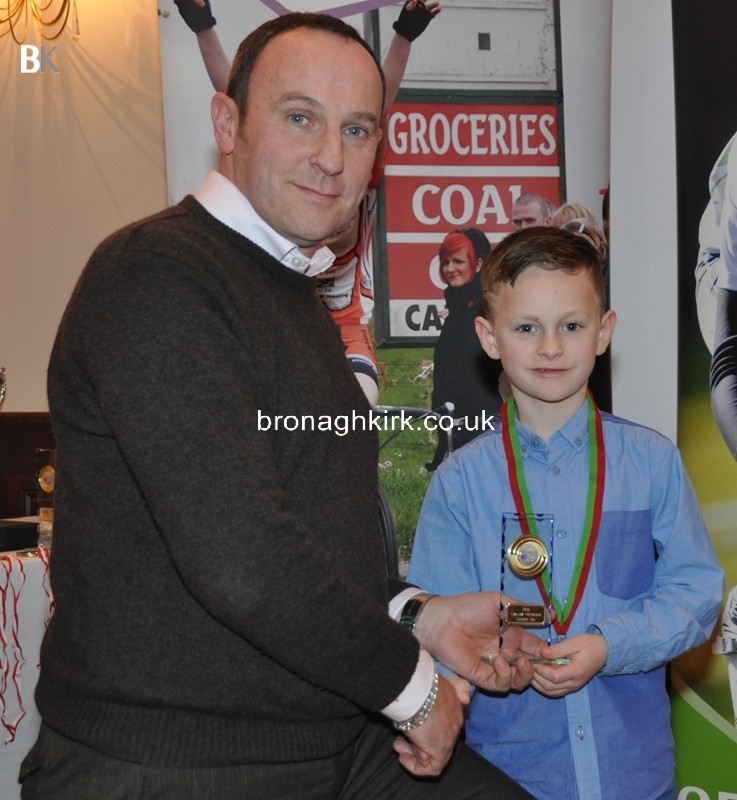 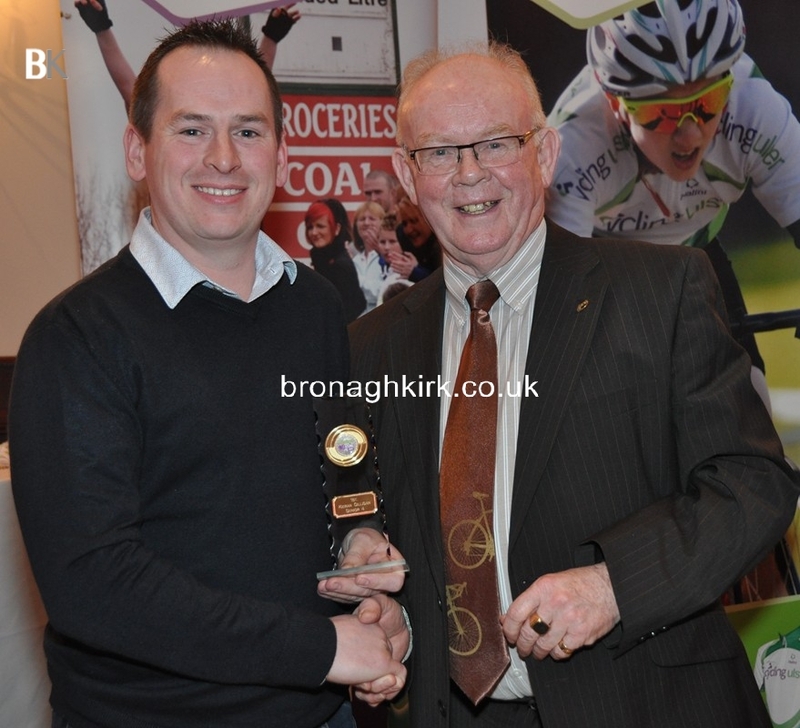 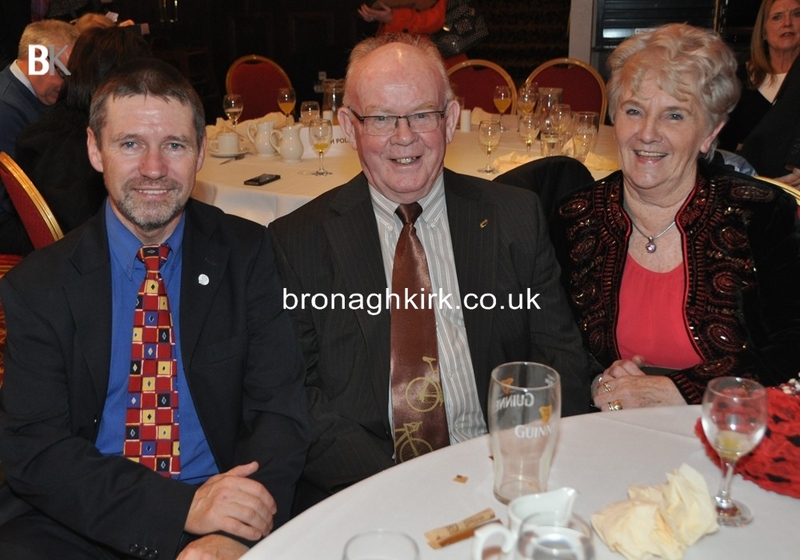 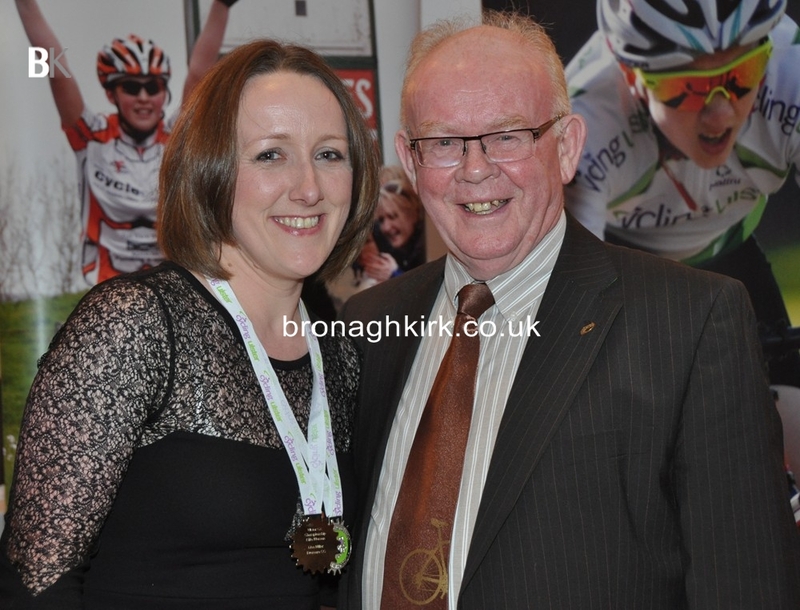 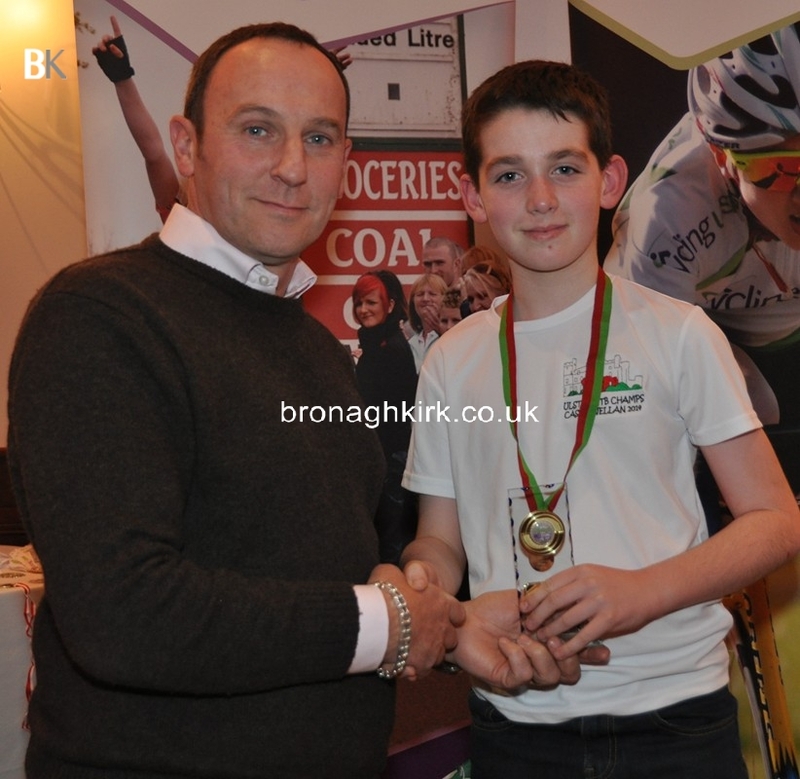 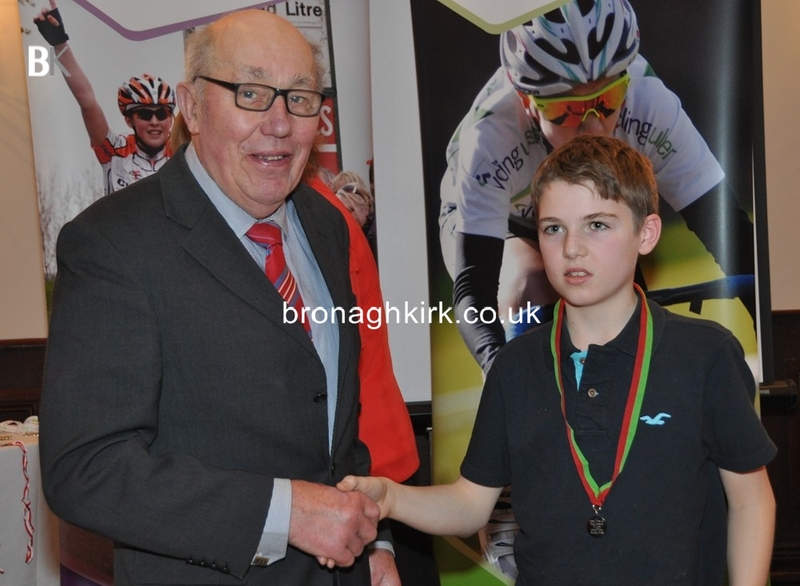 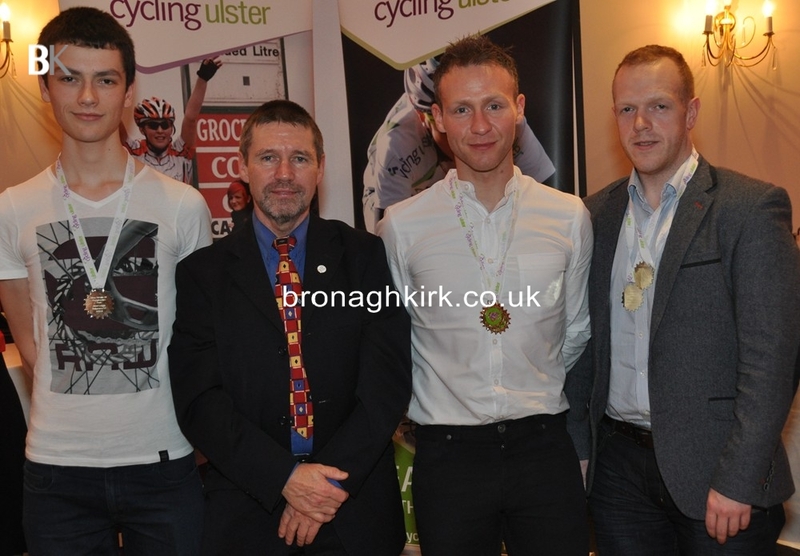 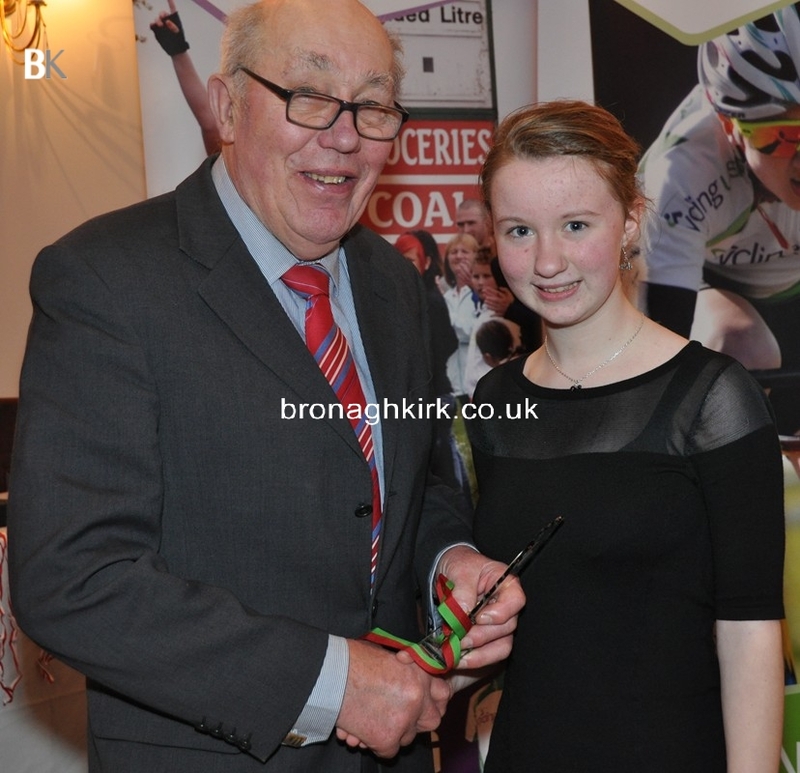 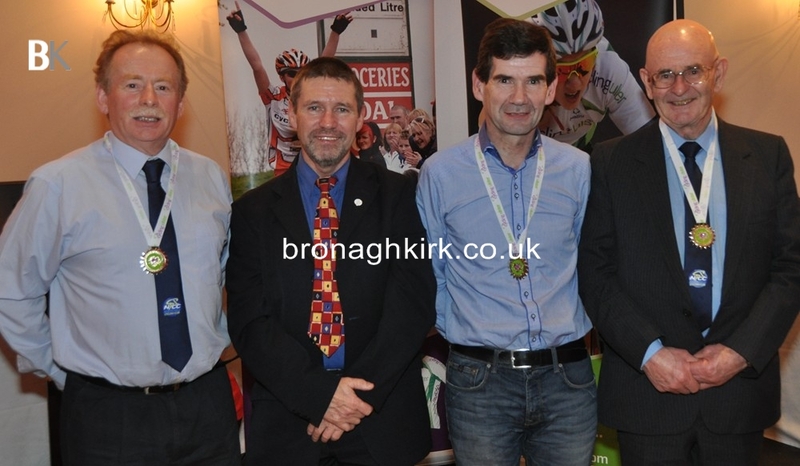 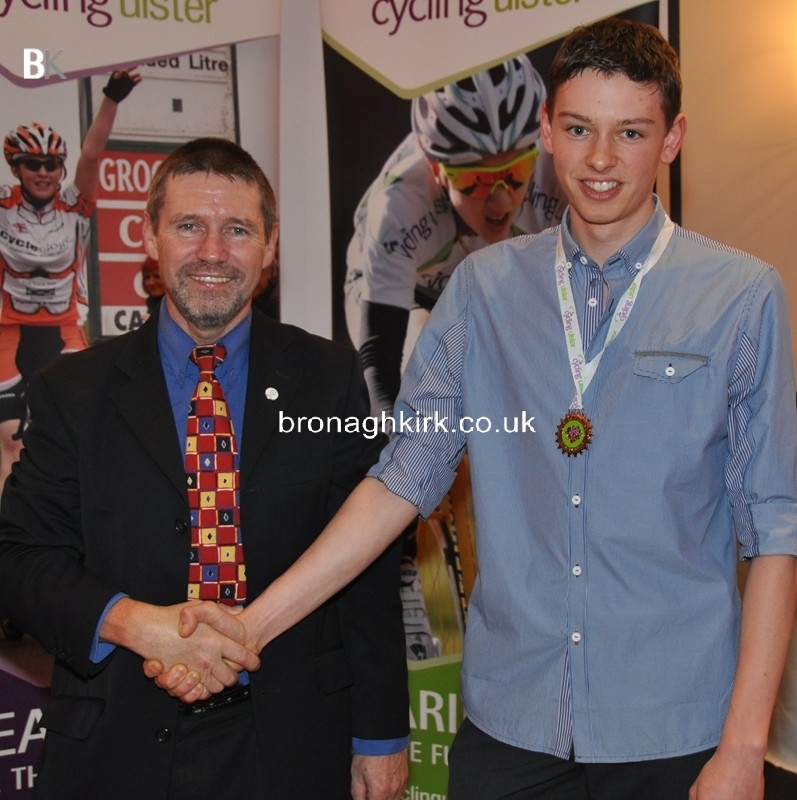 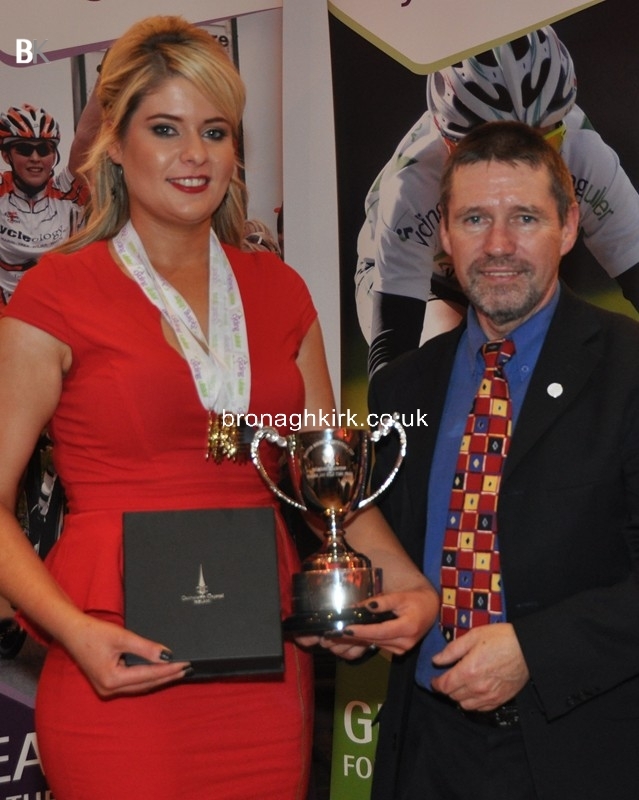 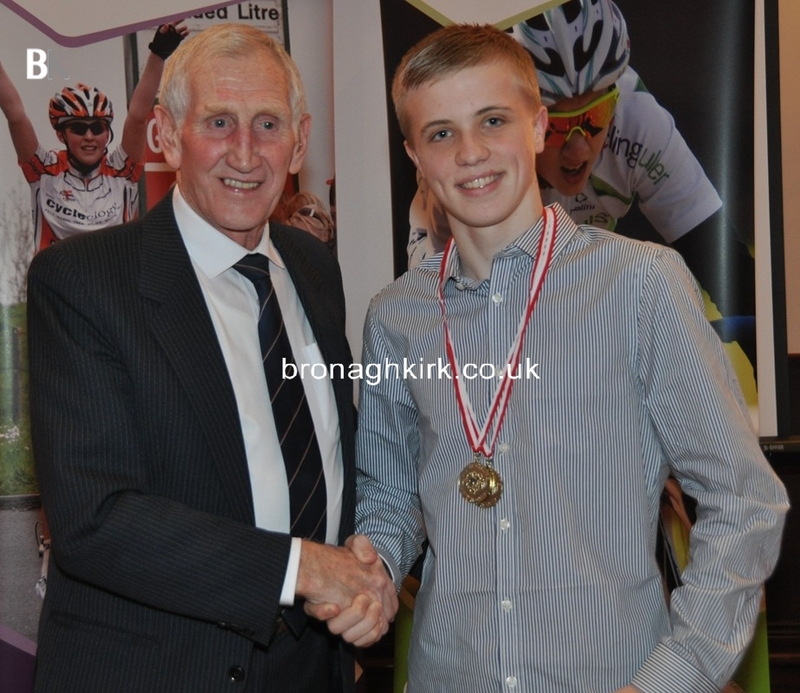 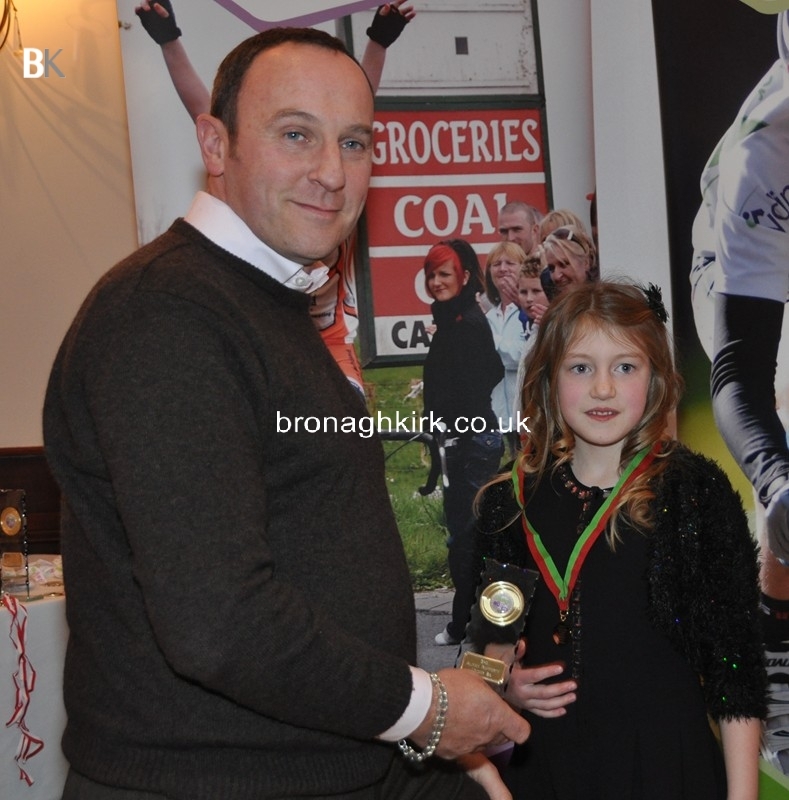 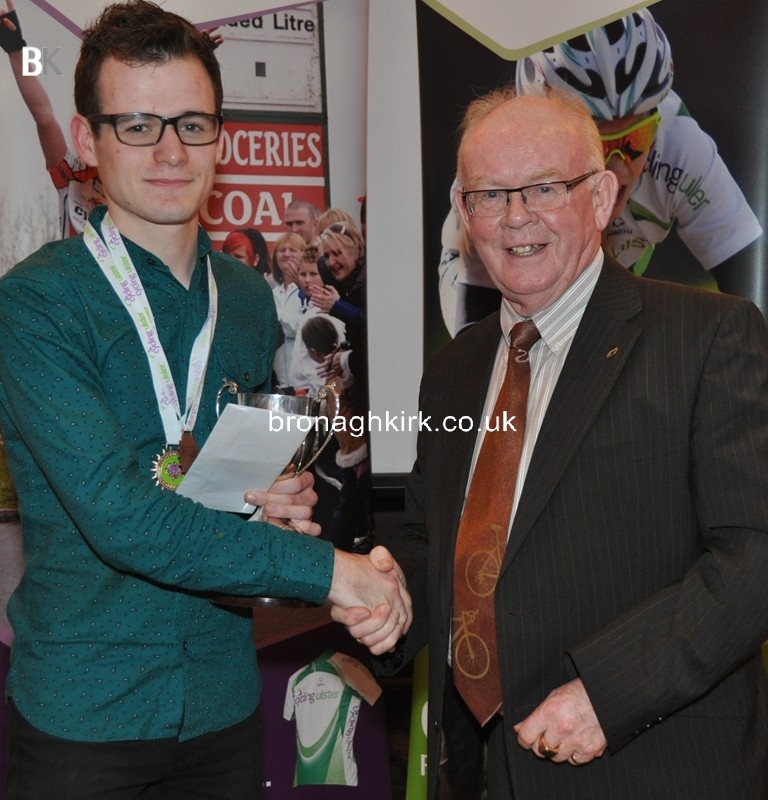 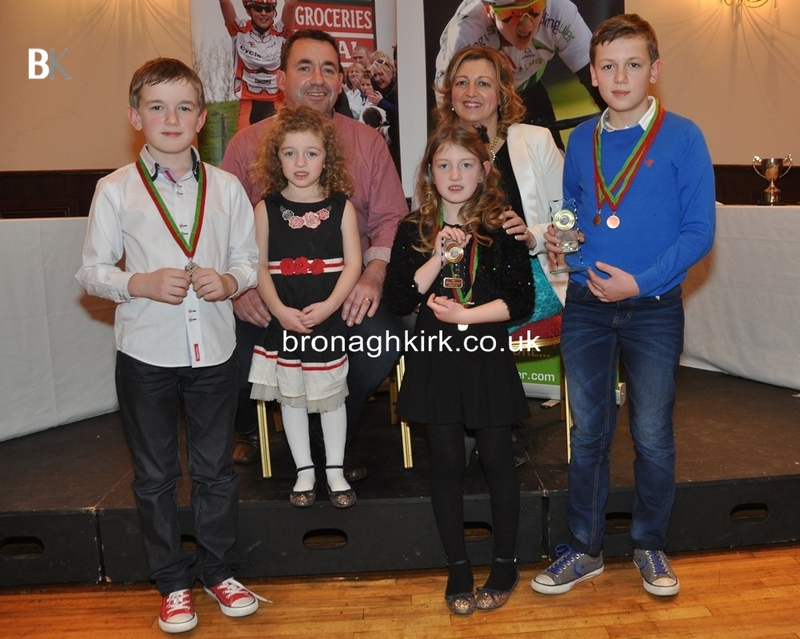 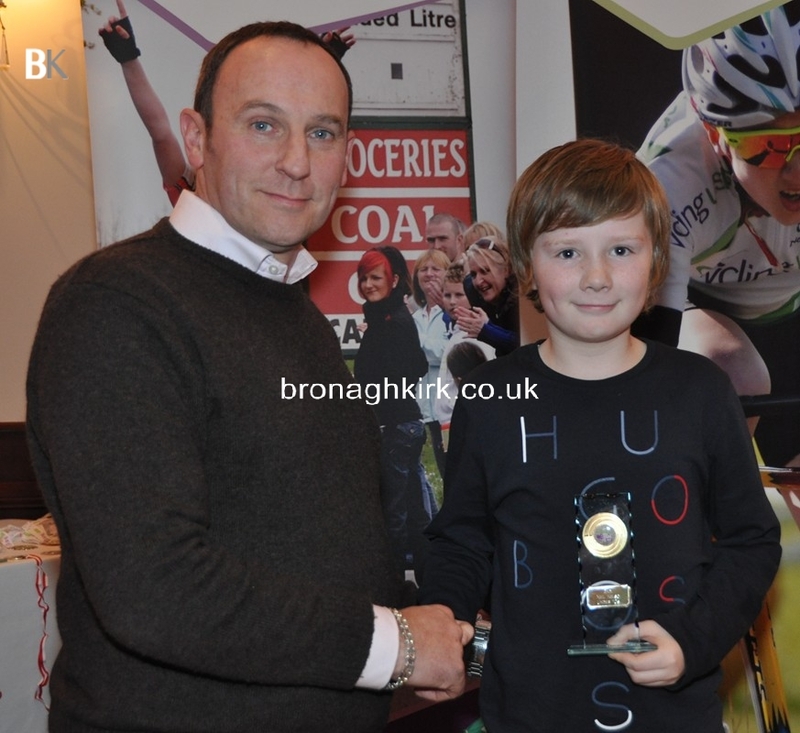 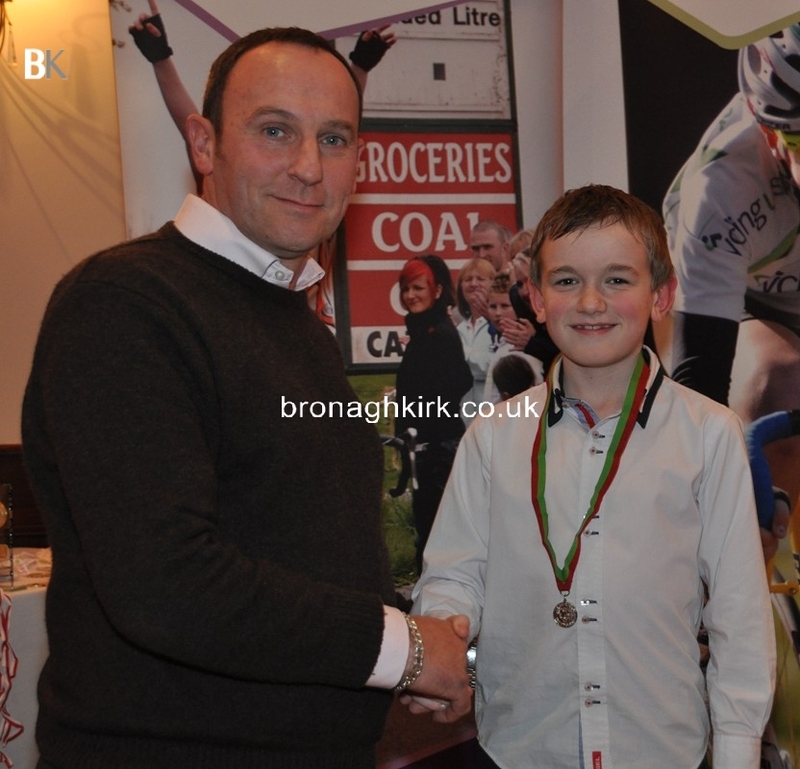 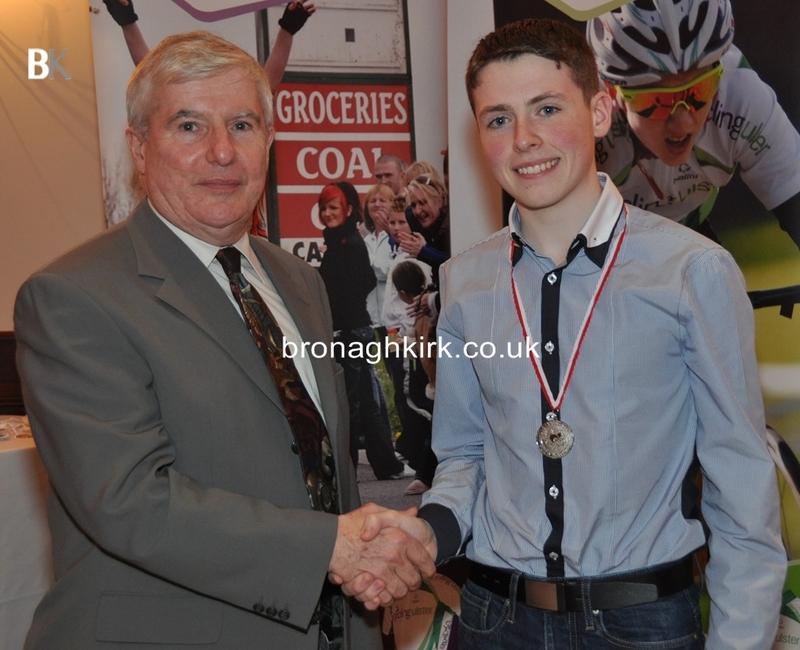 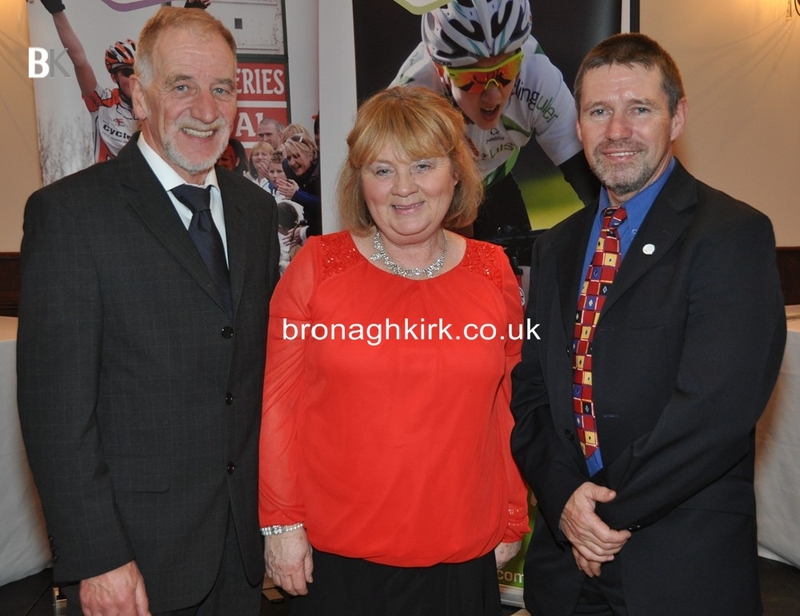 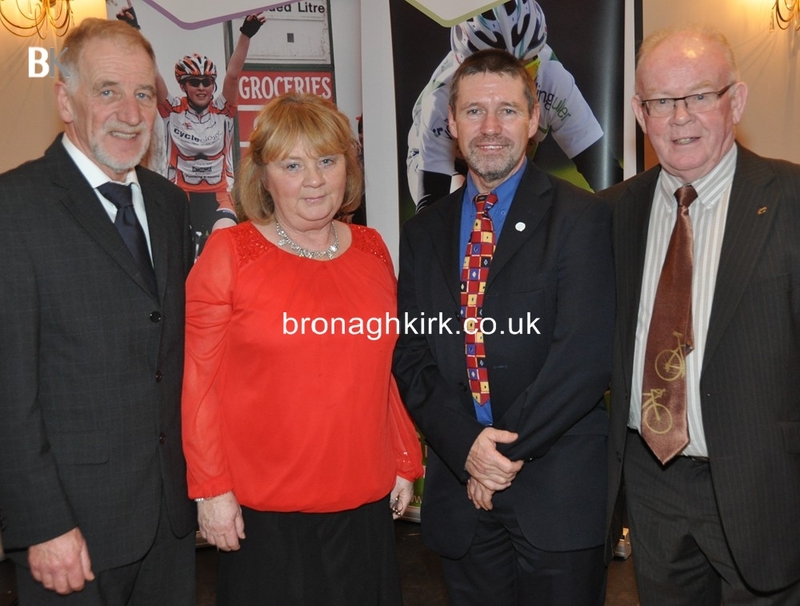 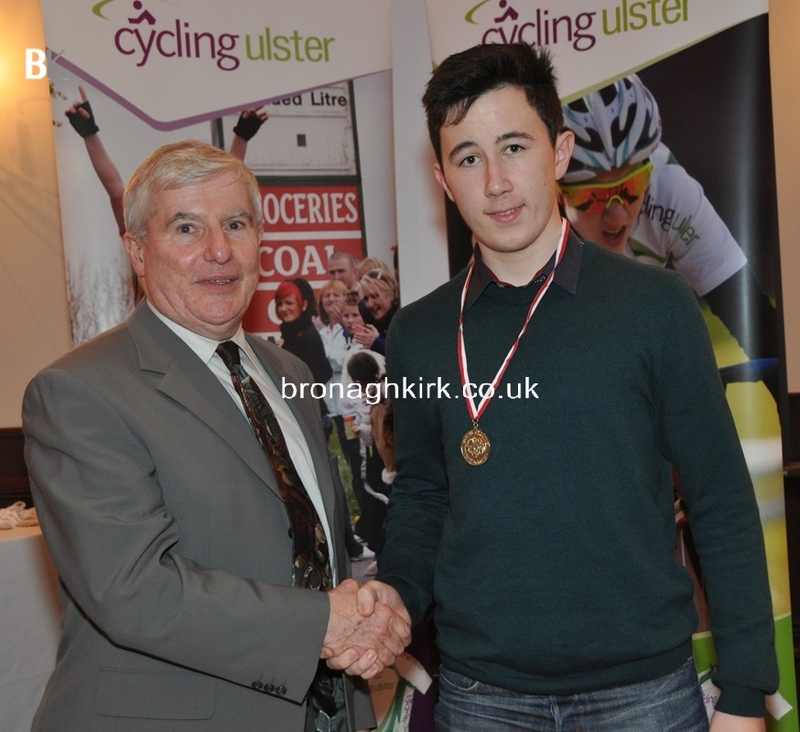 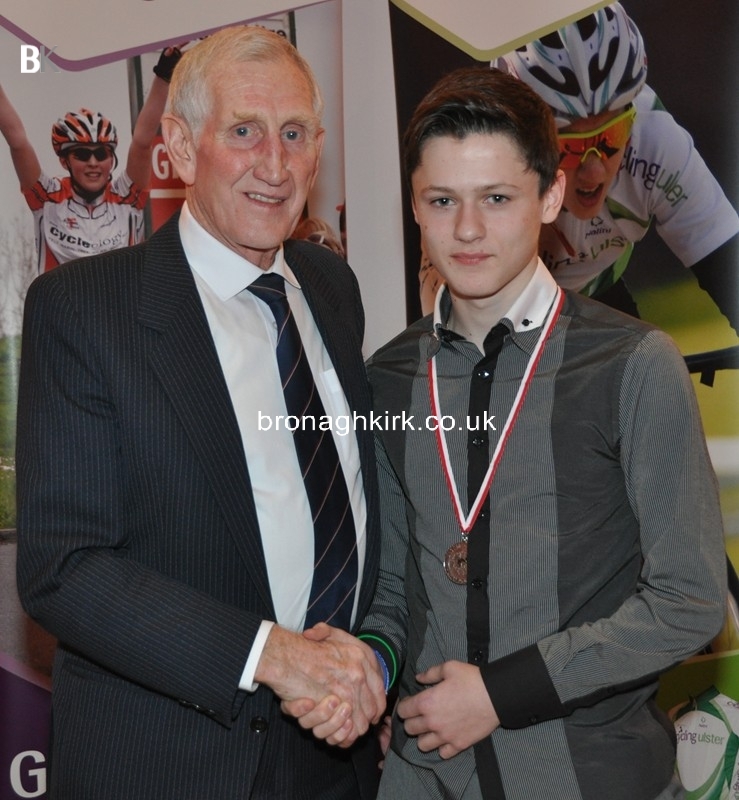 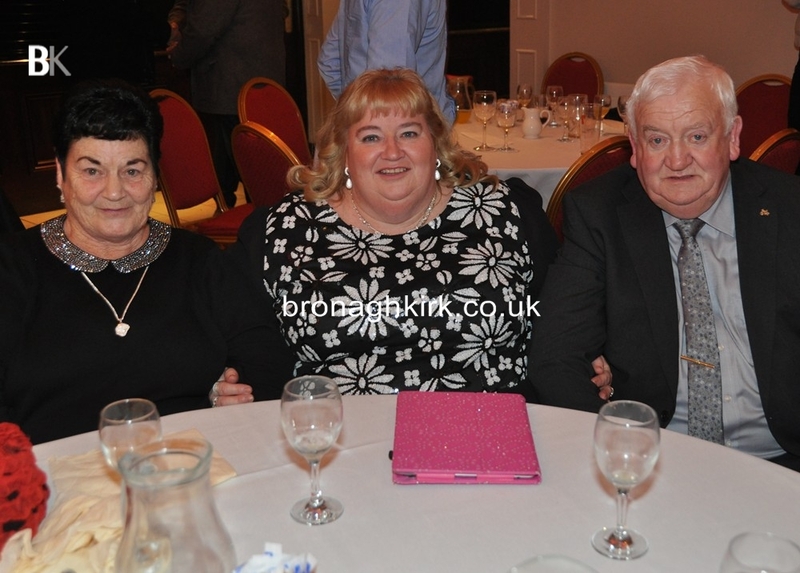 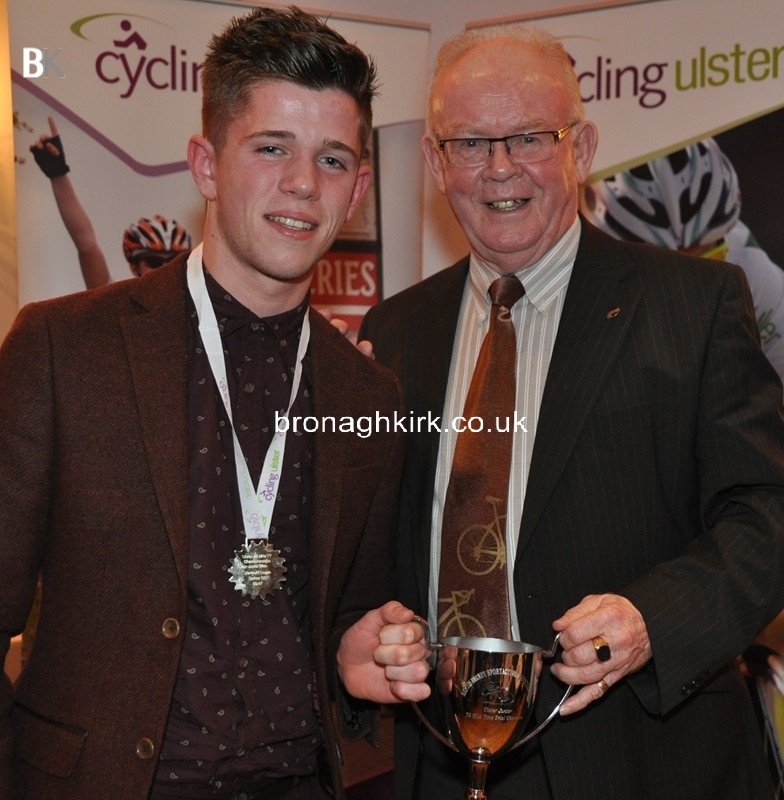 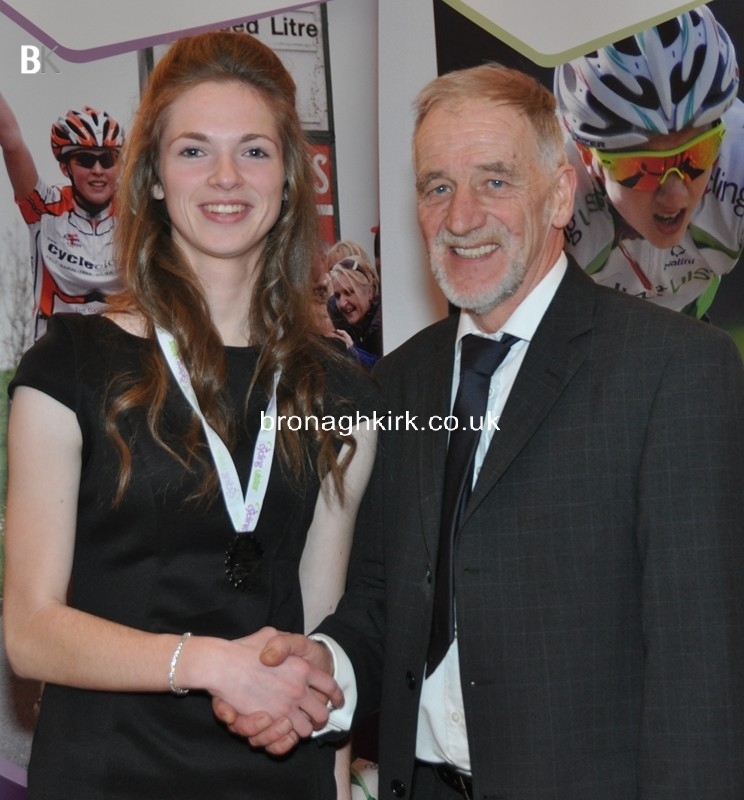 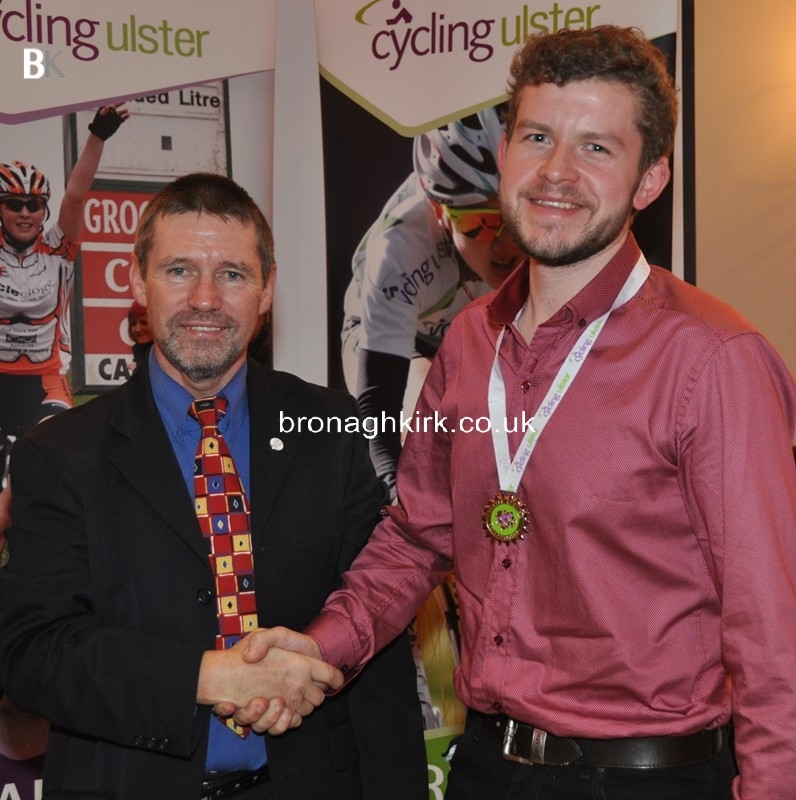 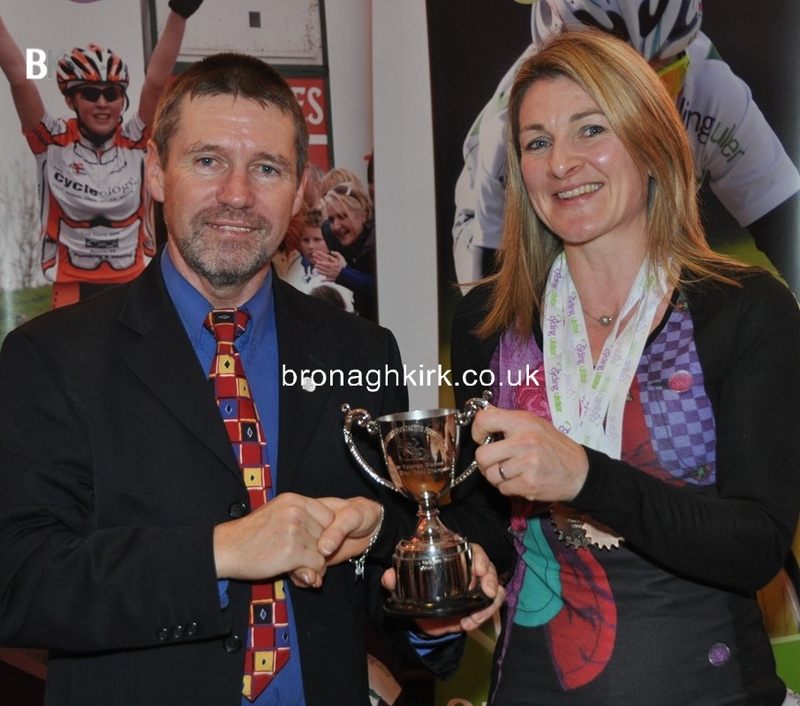 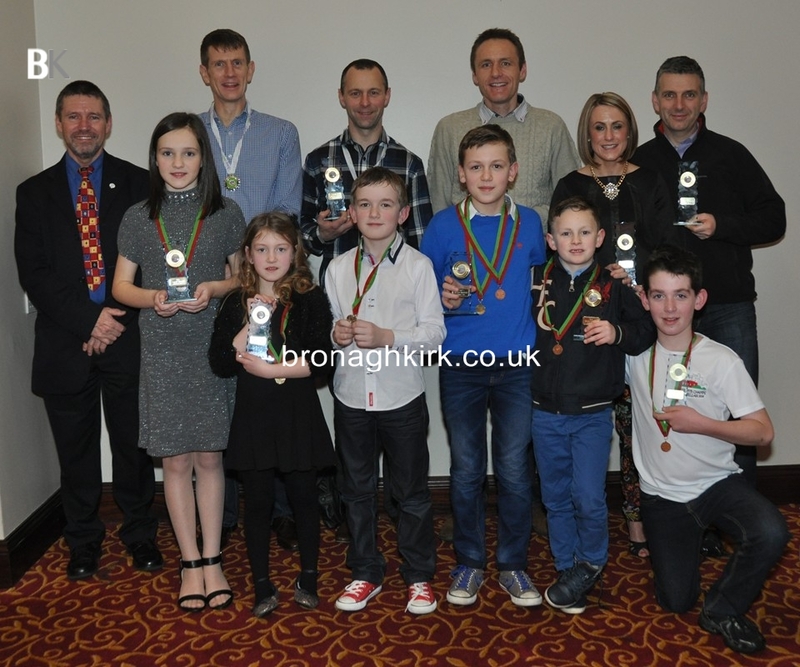 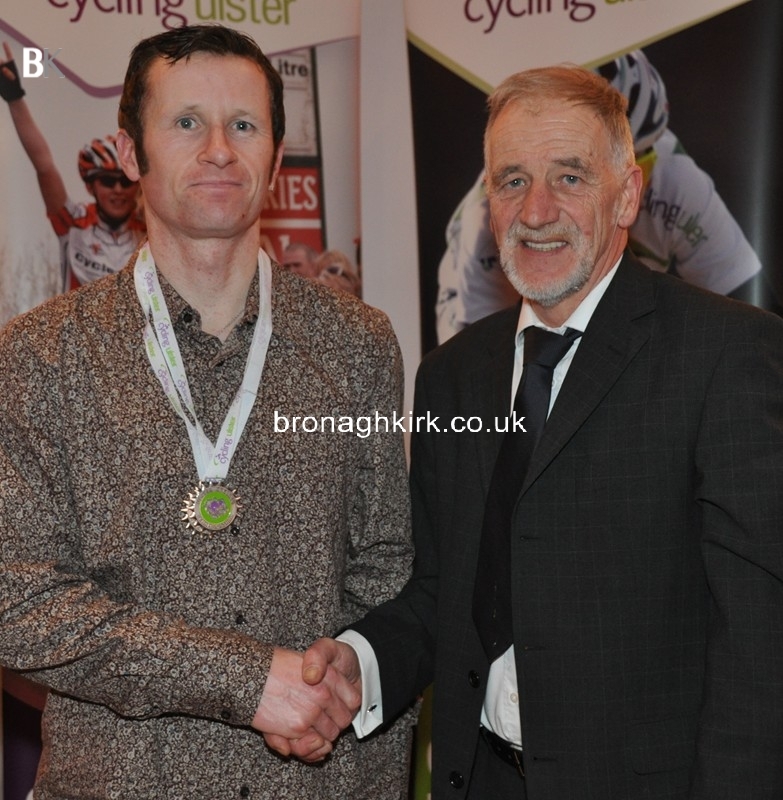 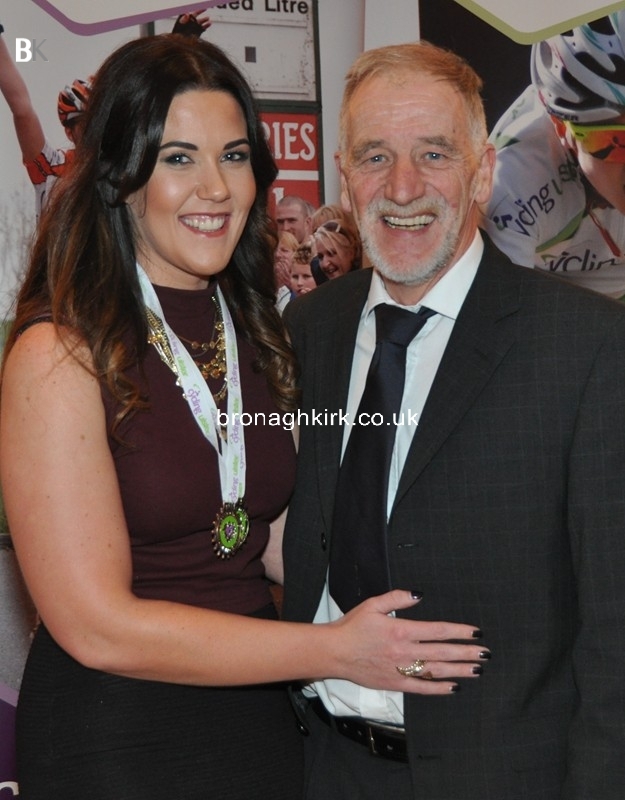 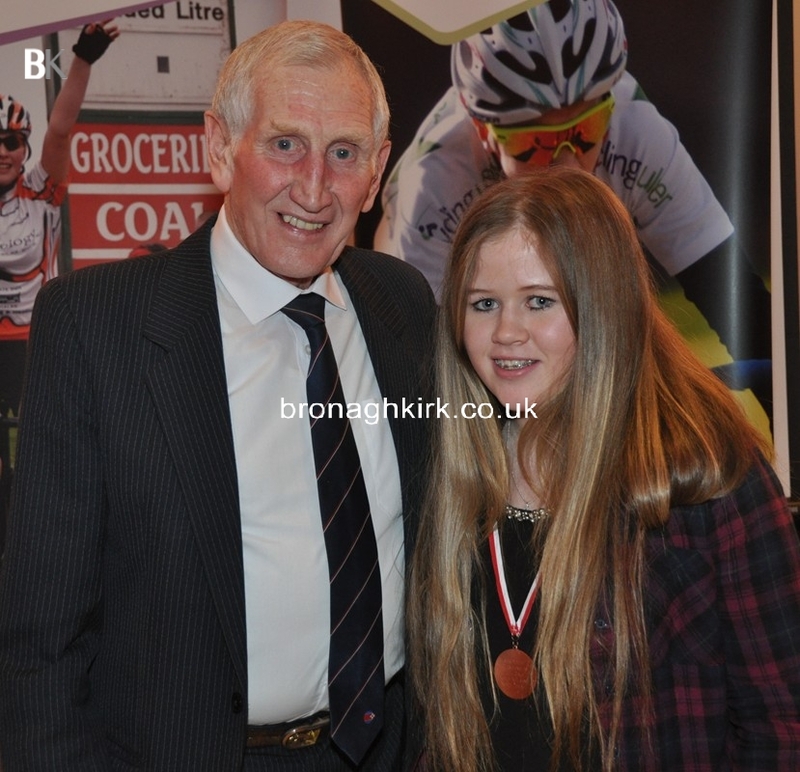 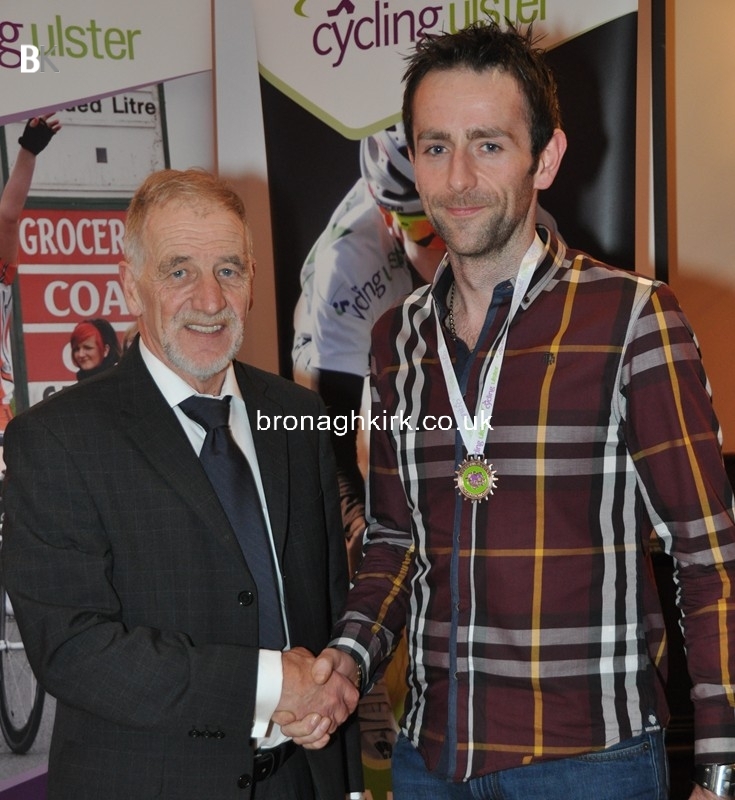 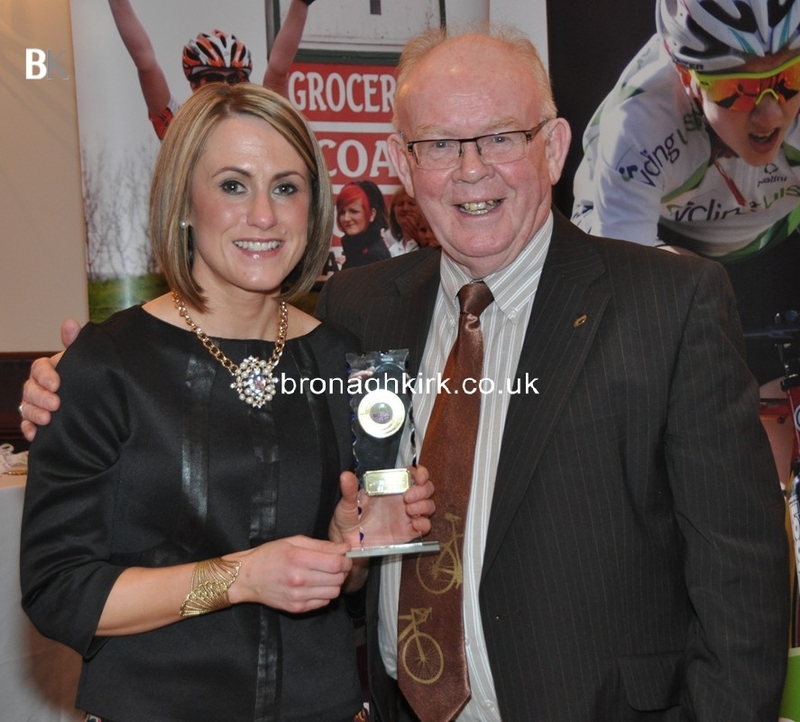 Cycling Ulster Dinner and Awards Night was held on Saturday night in White River Hotel in Toome. 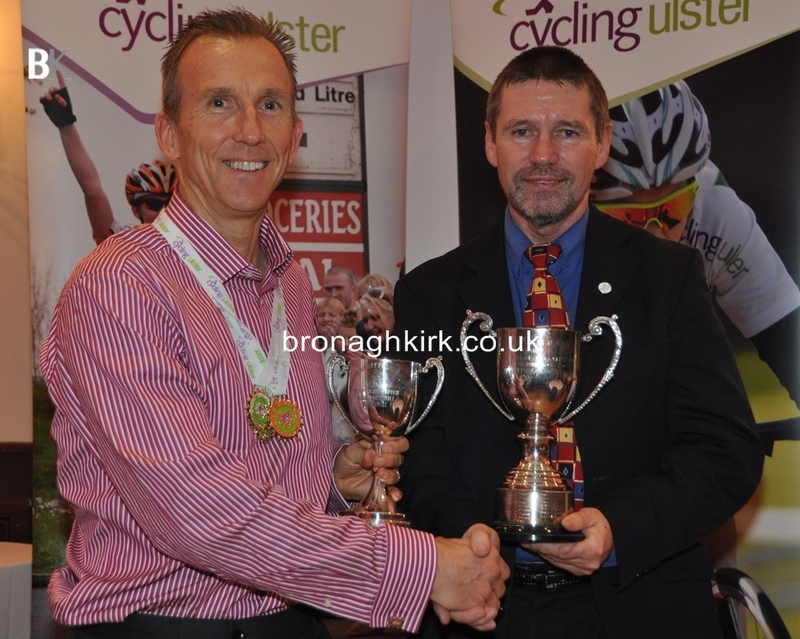 There was a large turnout and great to see so many of Cycling Ulsters young competitors. 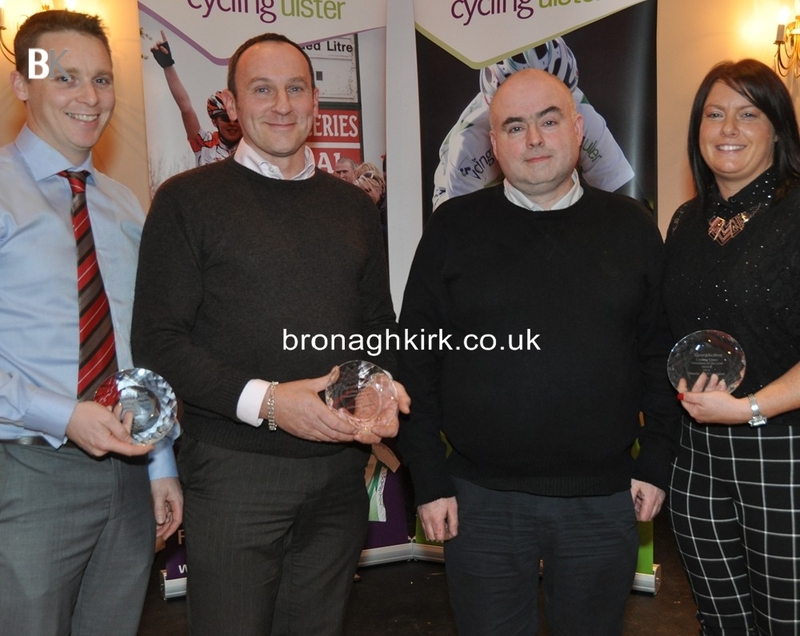 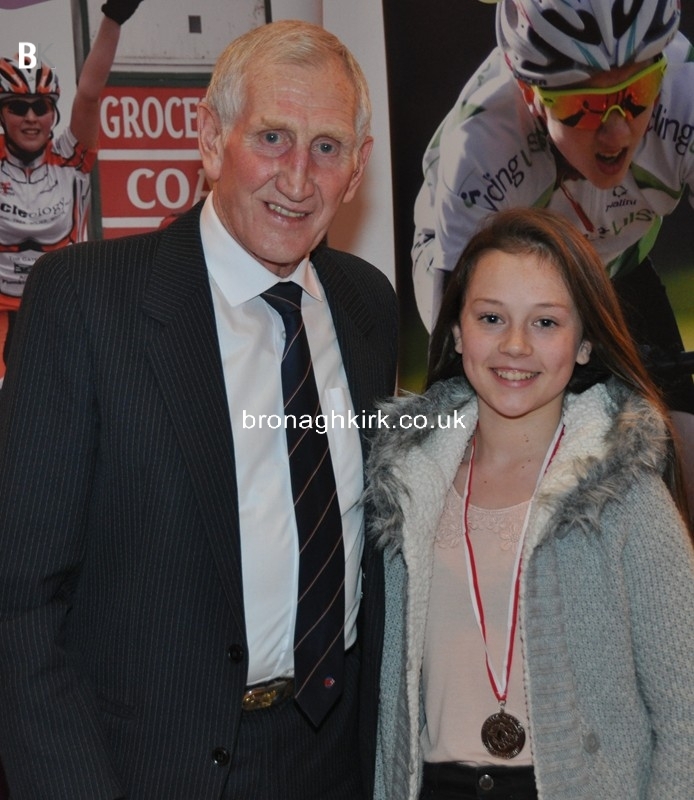 As well as cycling achievements awards there were also some special presentations. 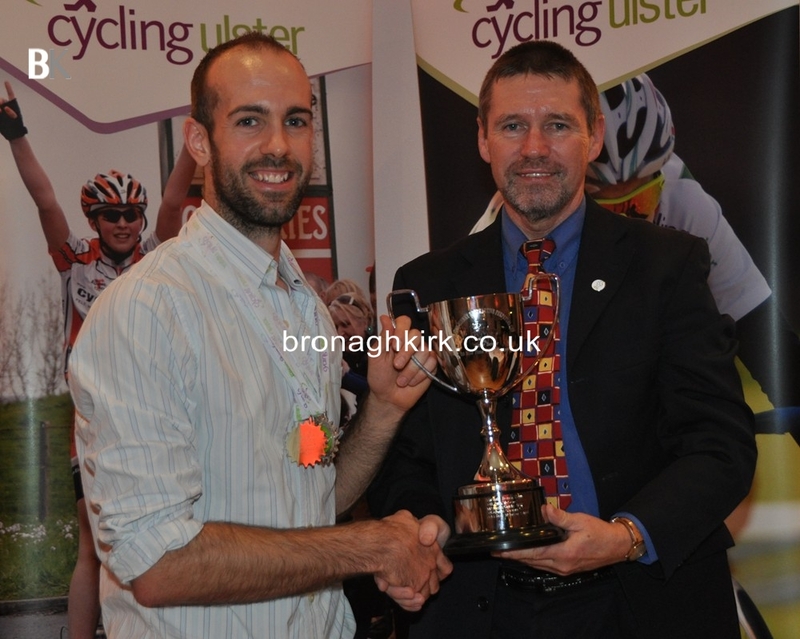 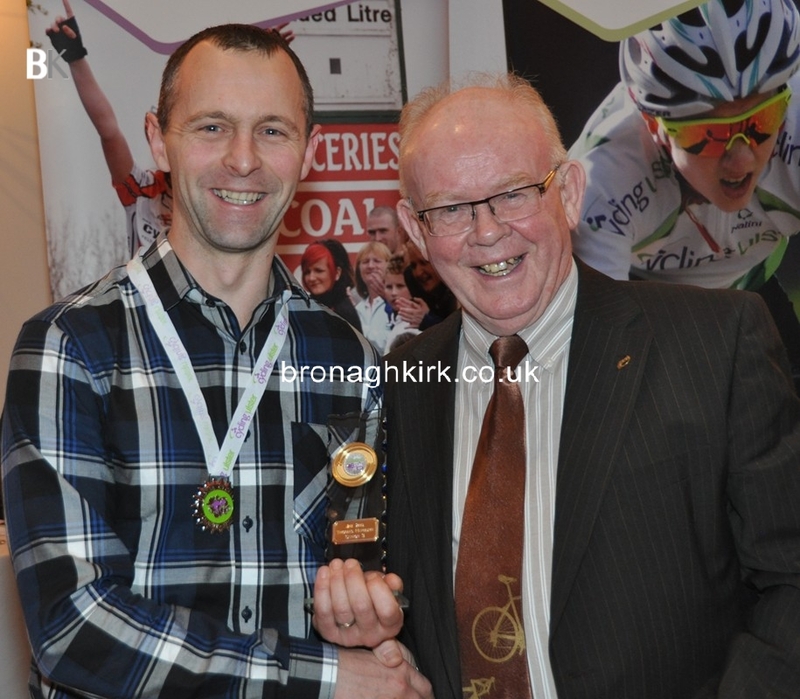 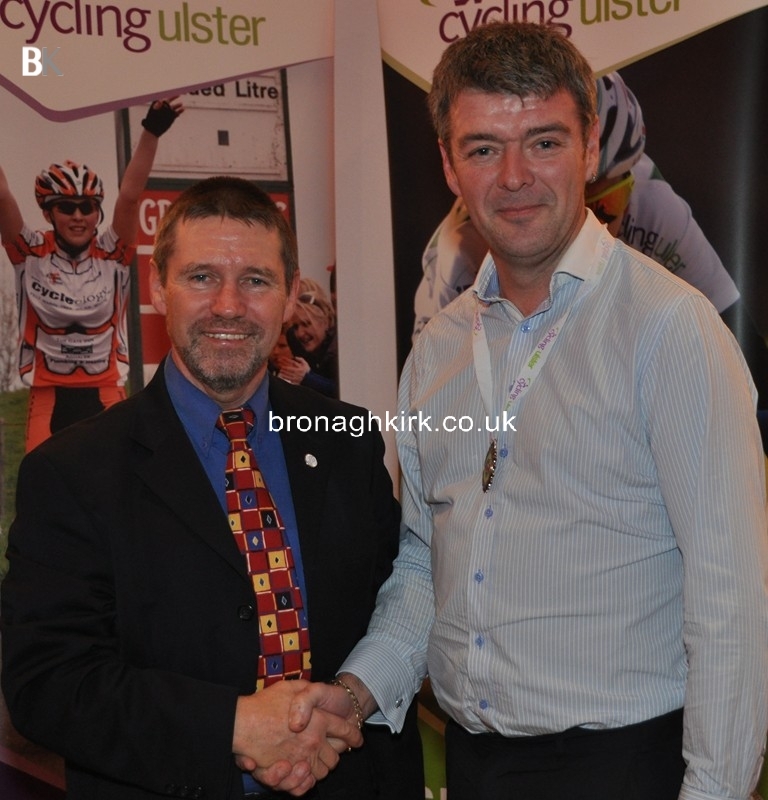 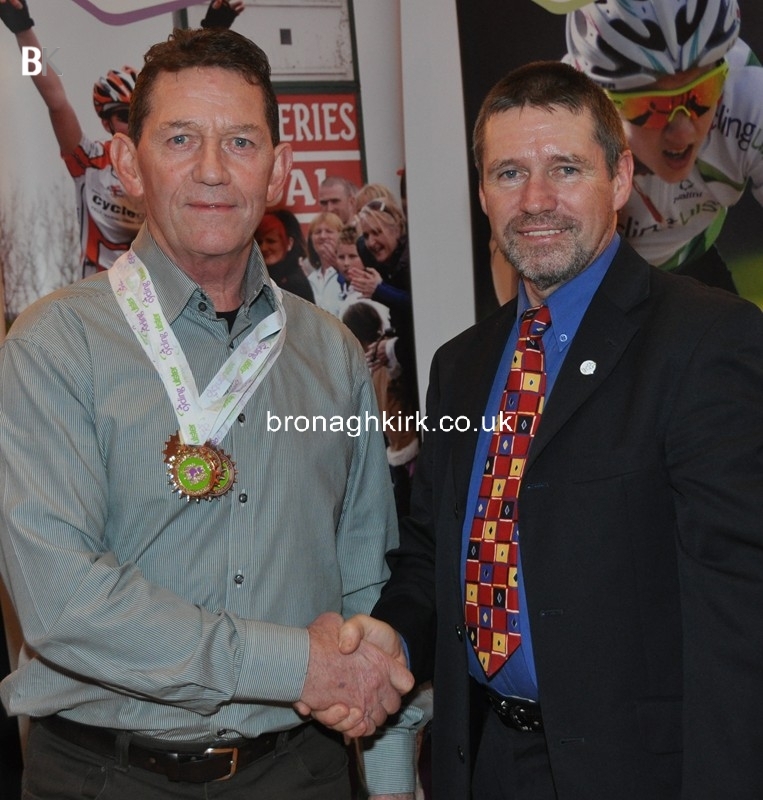 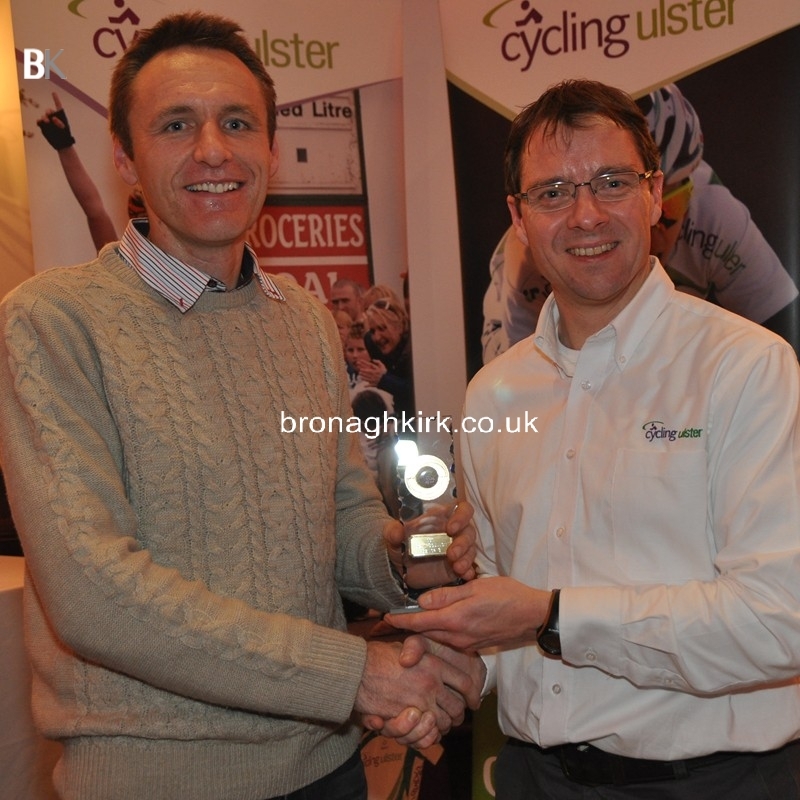 Oliver Hunter received an award to mark 25 years as Cycling Ulster Treasurer. 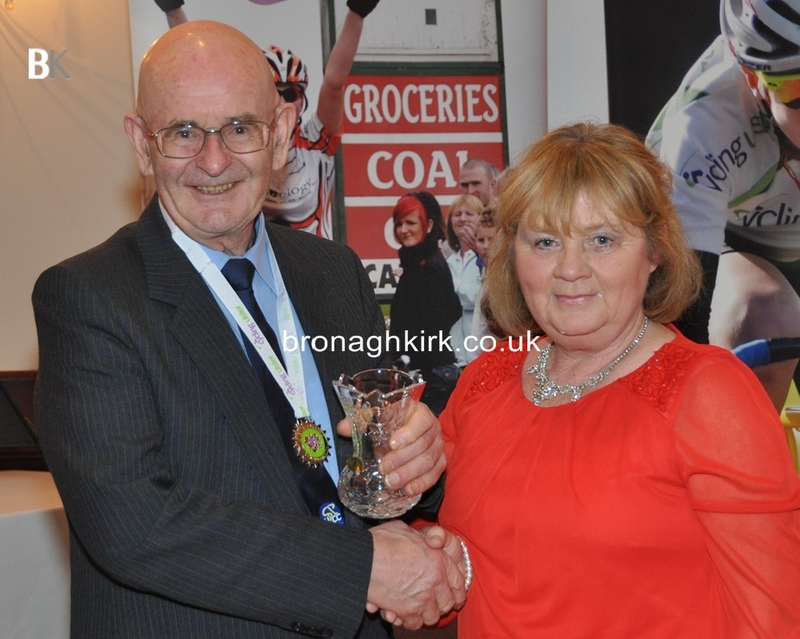 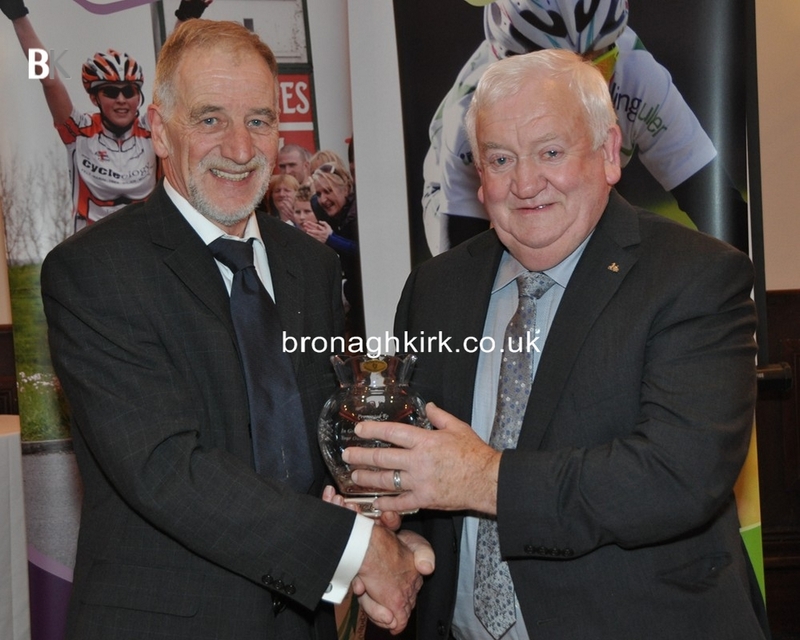 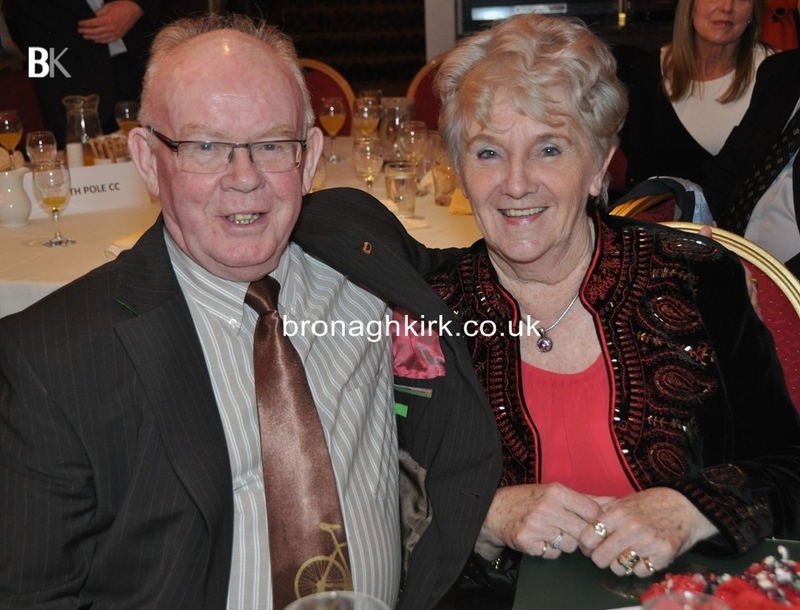 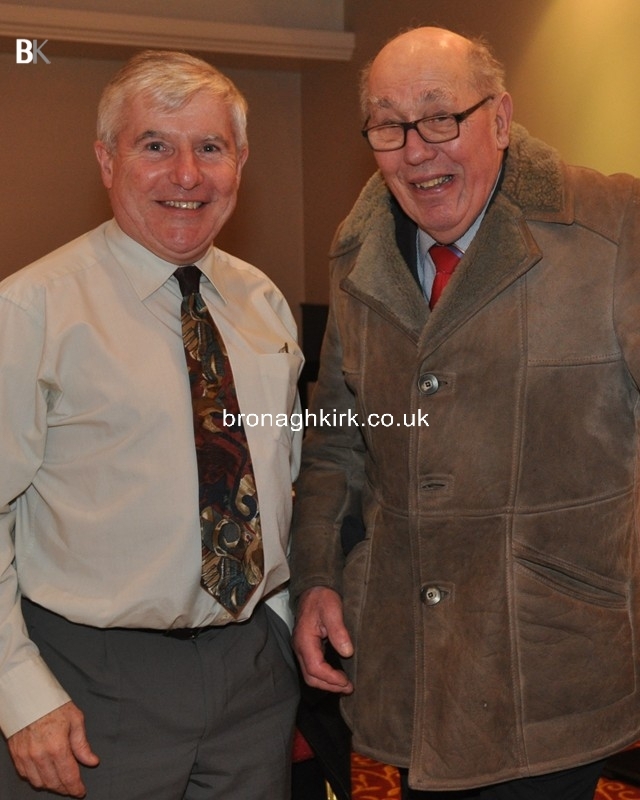 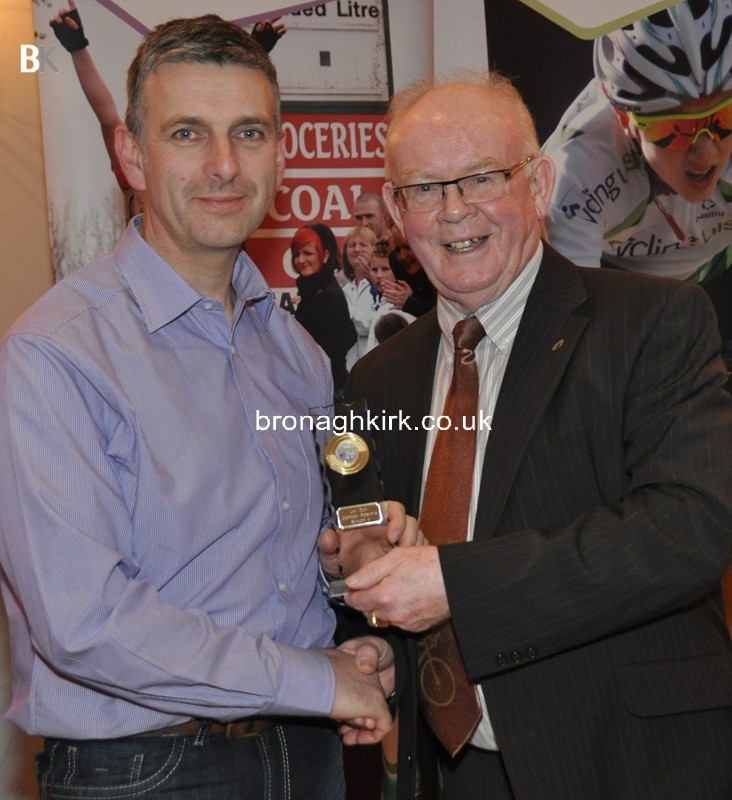 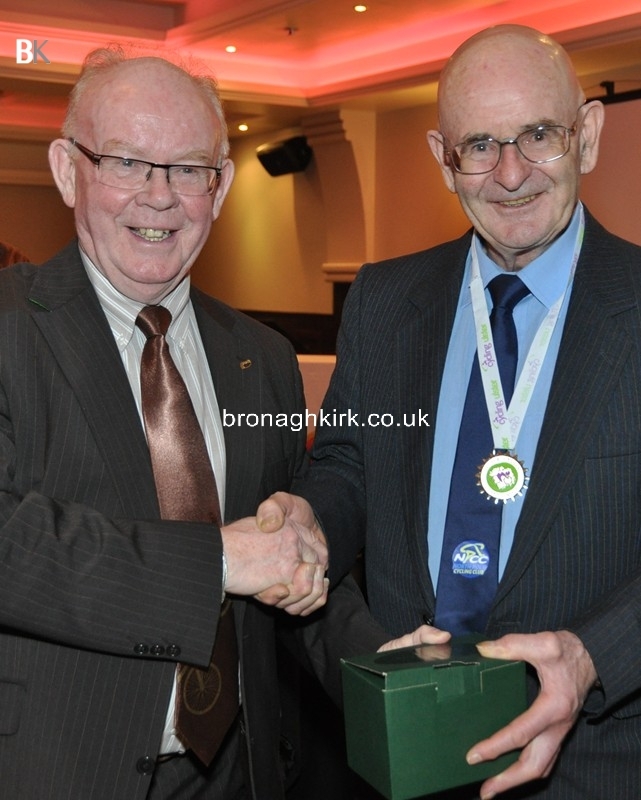 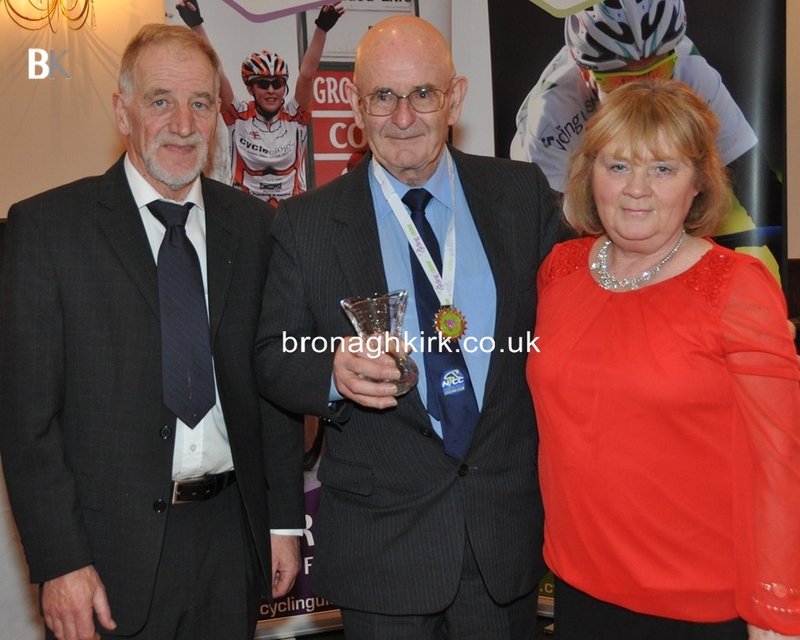 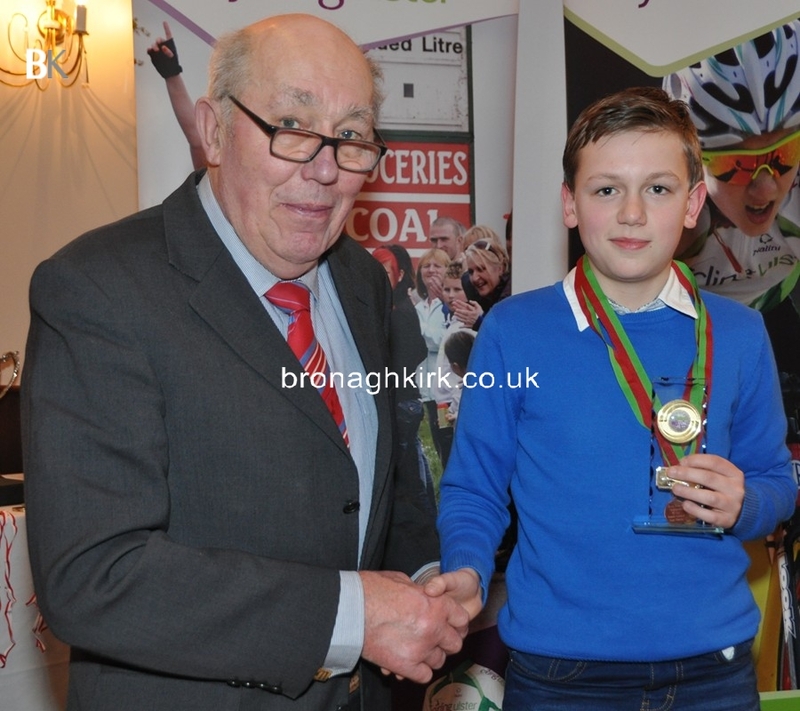 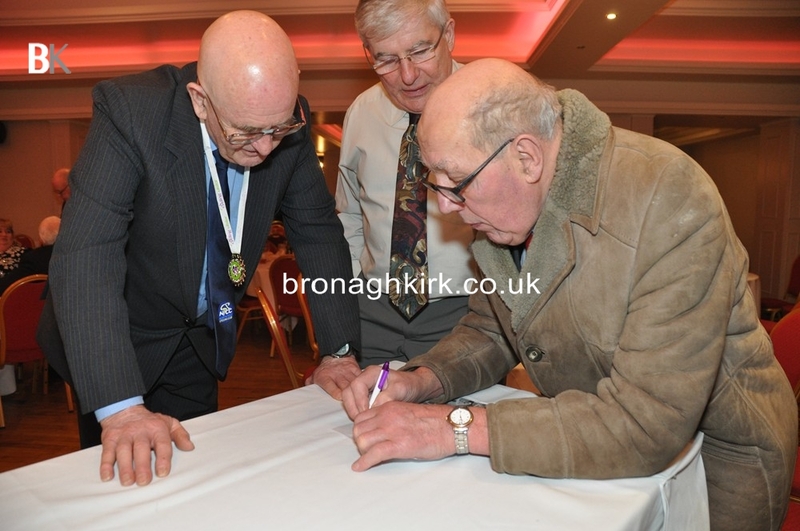 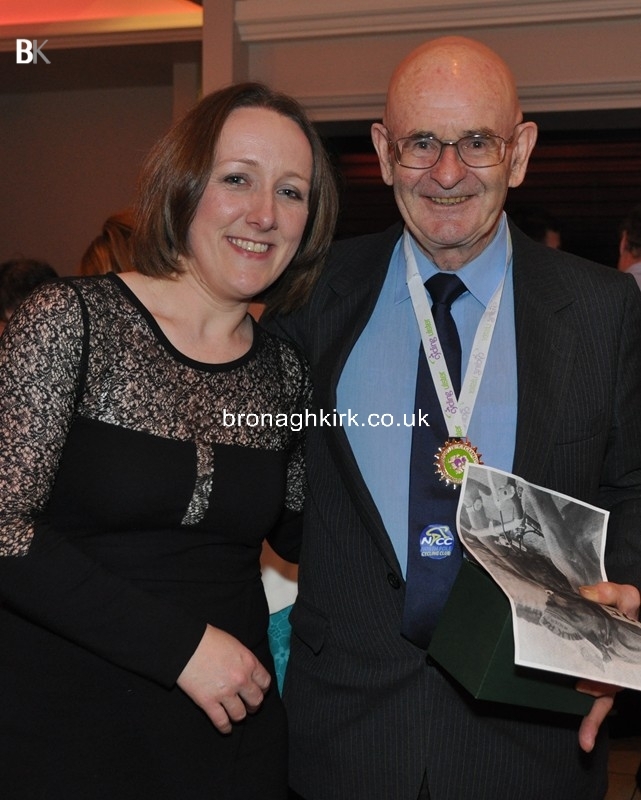 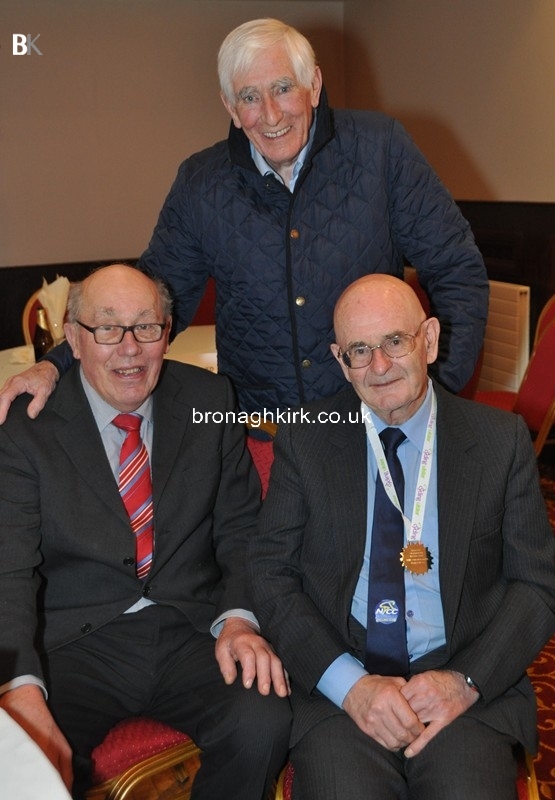 Willie John McLaughlin from Donegal was given a special achievement award for starting cycling in his late sixties and going to compete in road races and the 100 mile time trial with very respectable times. 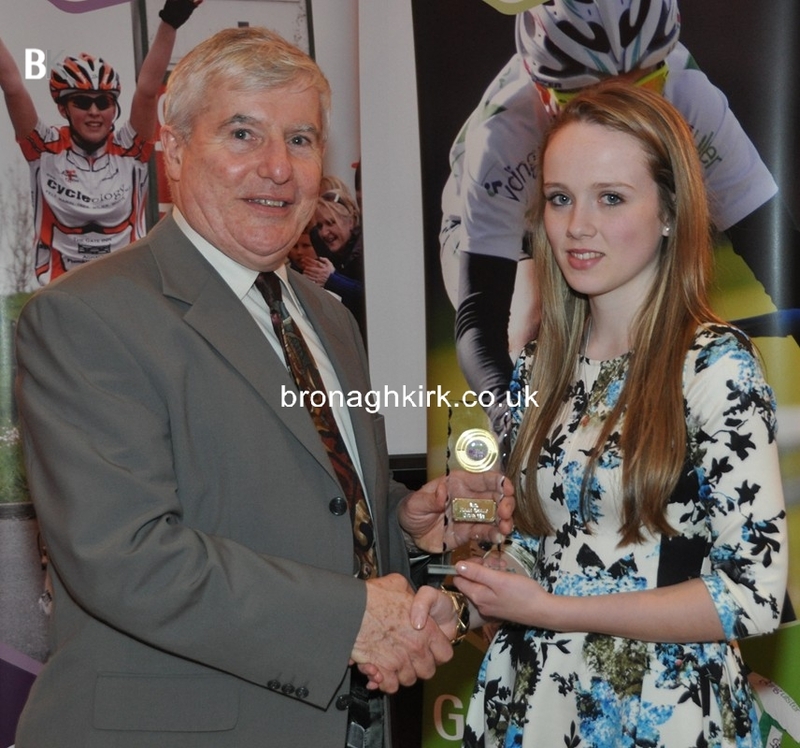 Amy Brice was also recognised for her participation in a three mountain challenge.